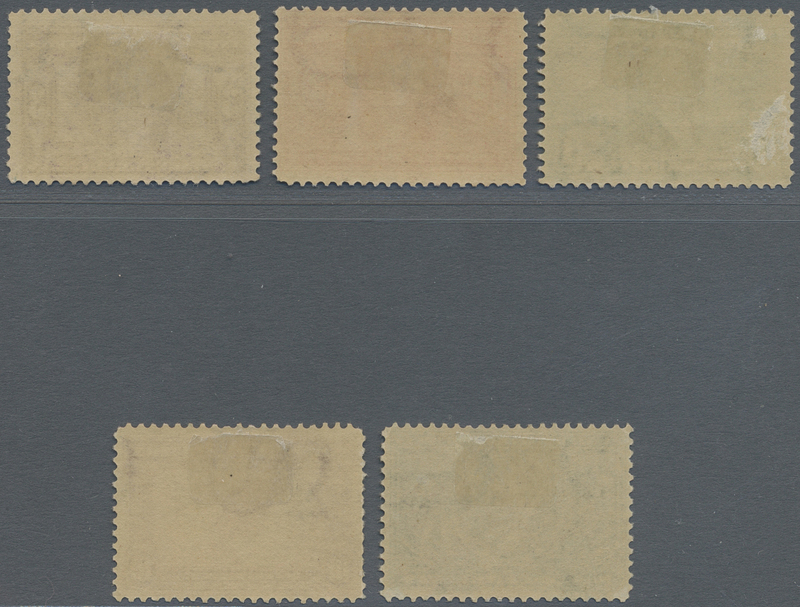 13035 ungebraucht (hinged) * ungebraucht ohne Gummi (unused without gum) (*) 36-38 (Sc. 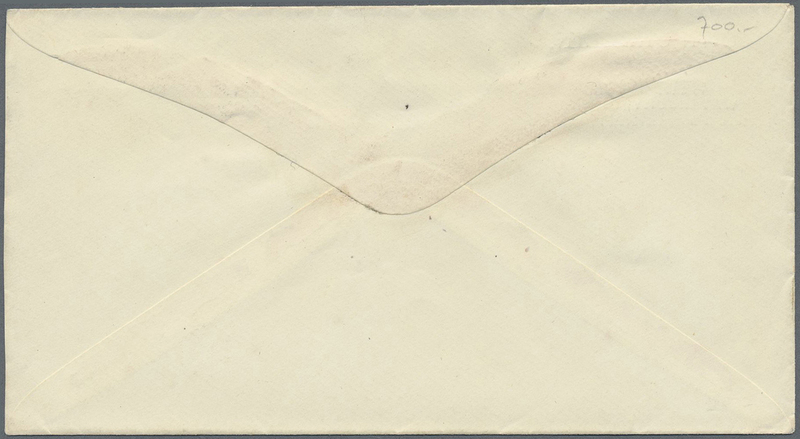 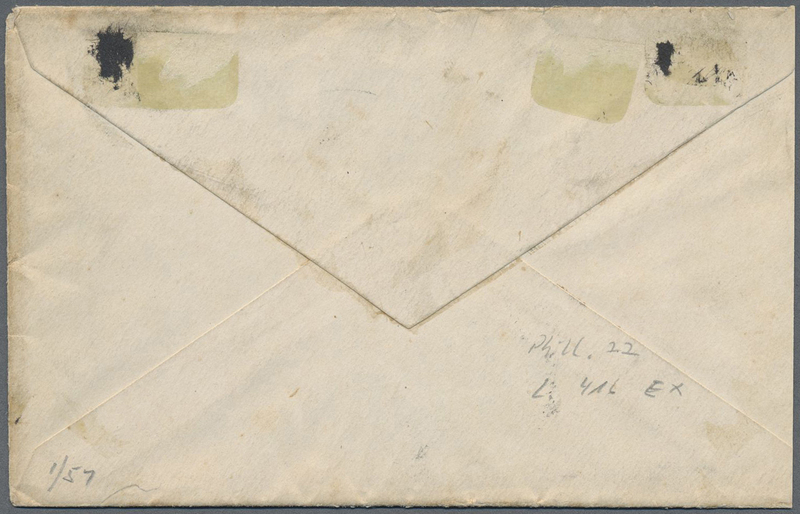 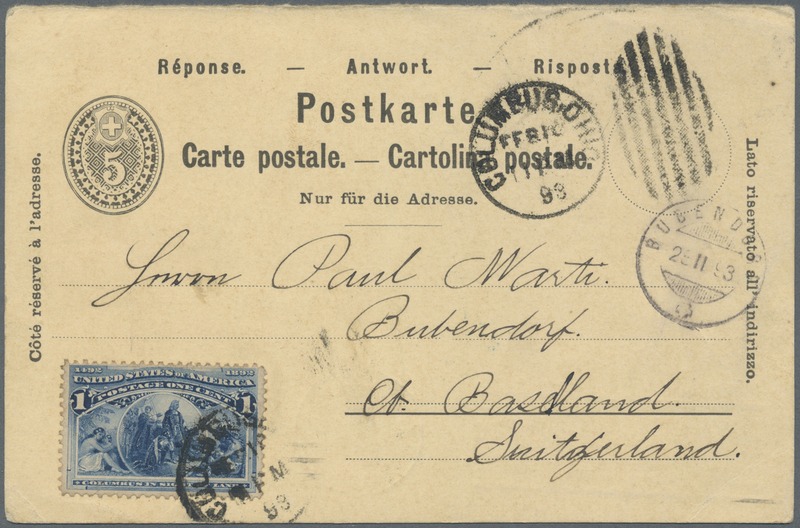 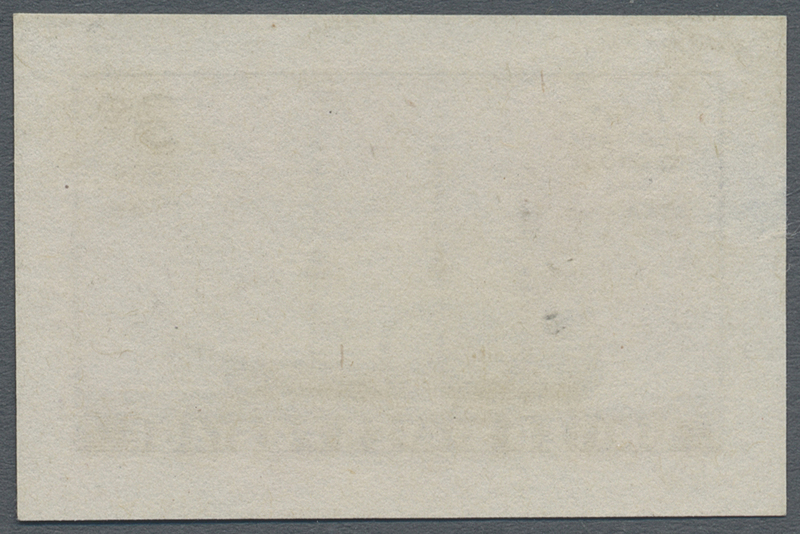 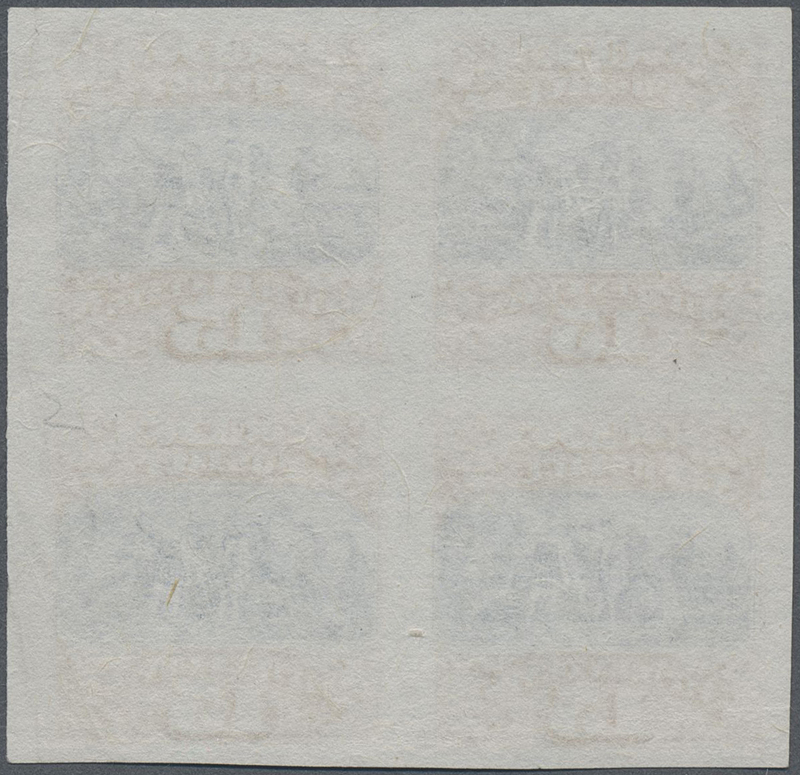 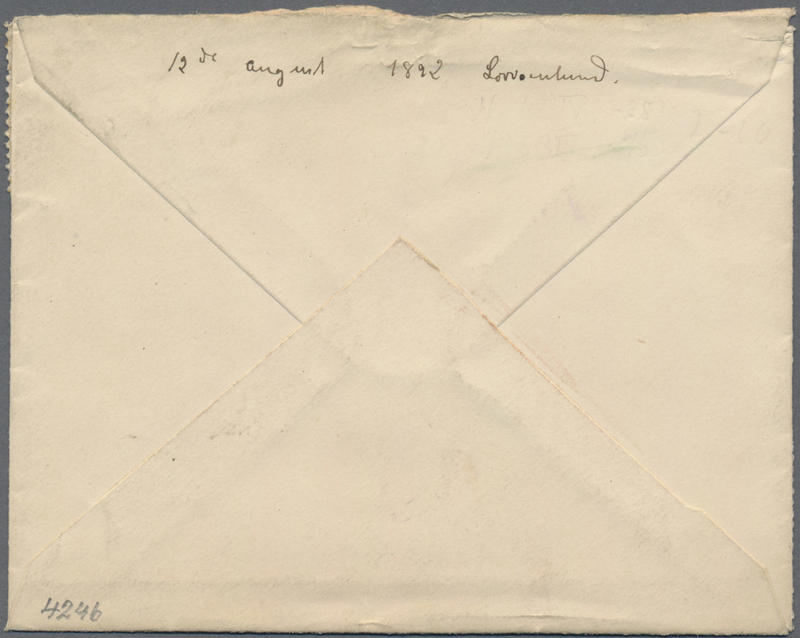 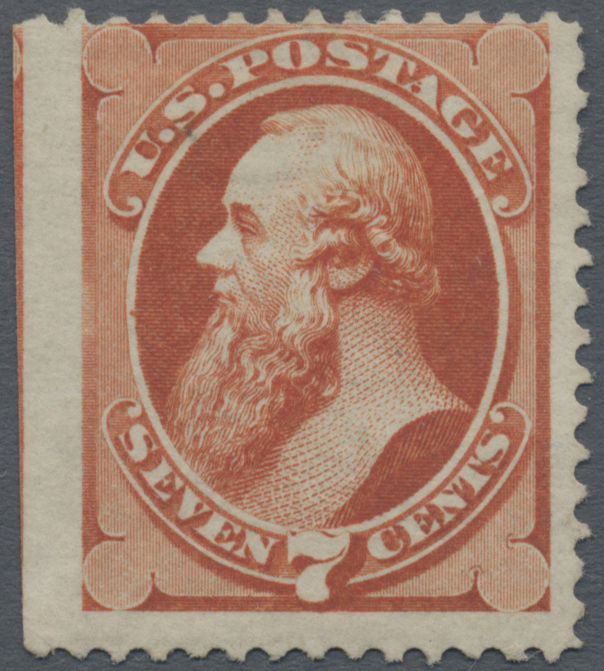 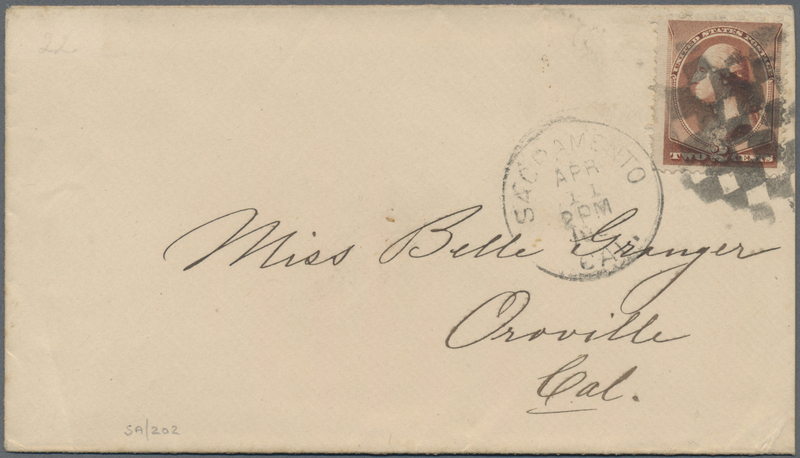 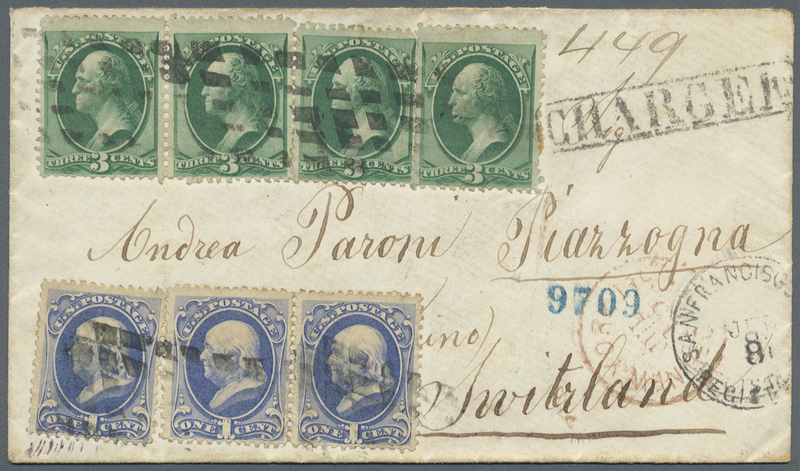 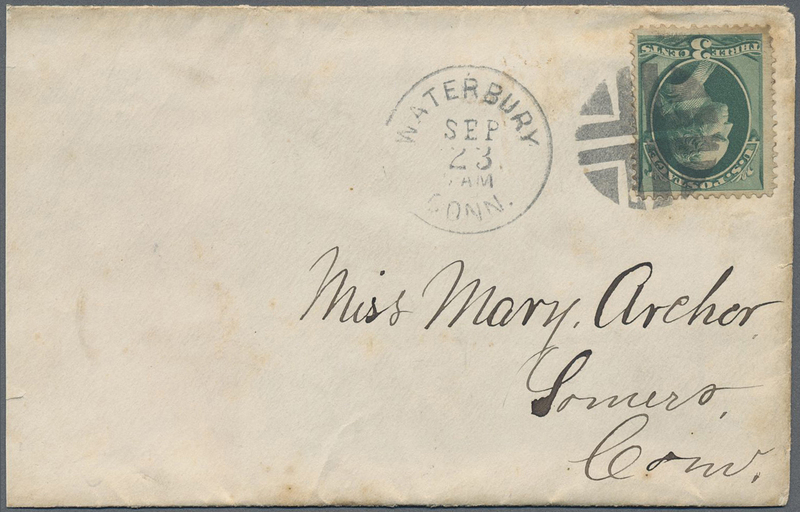 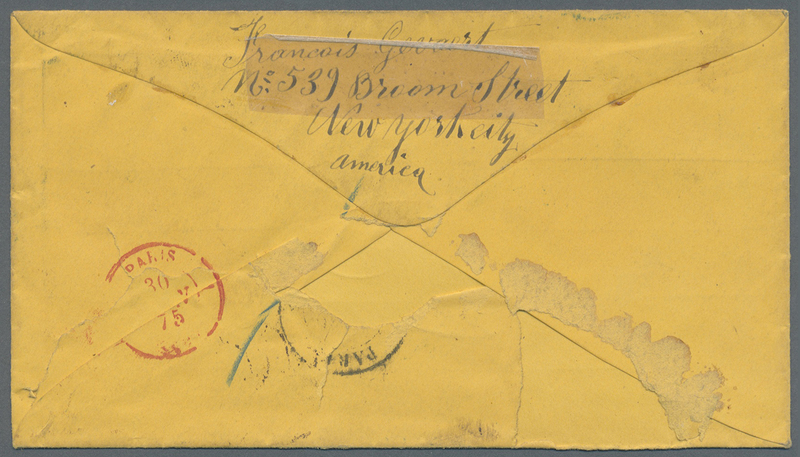 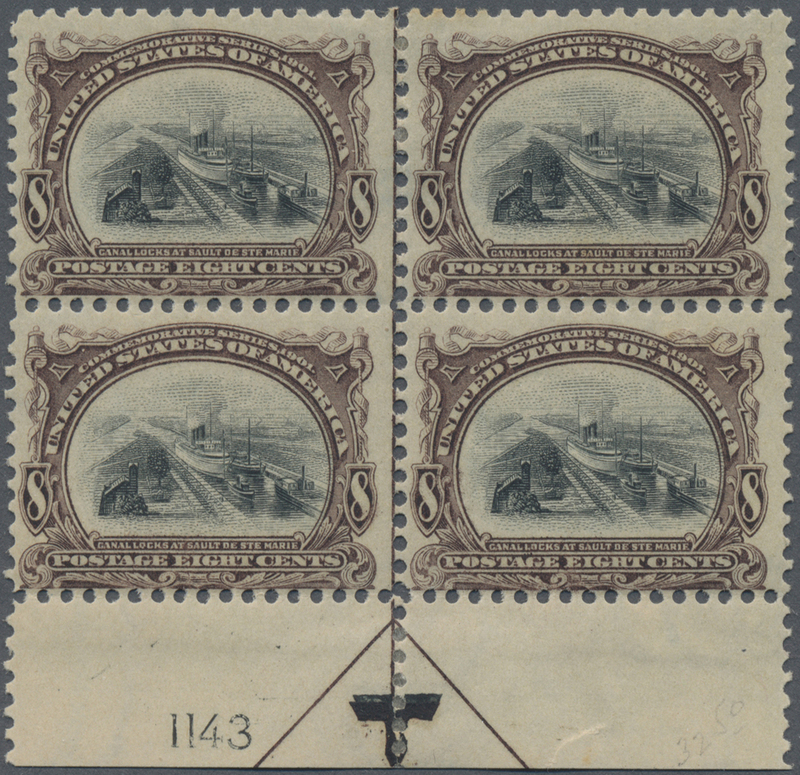 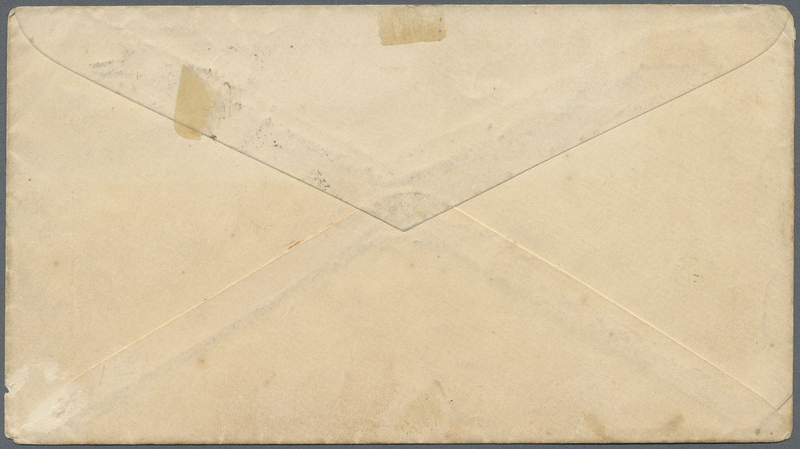 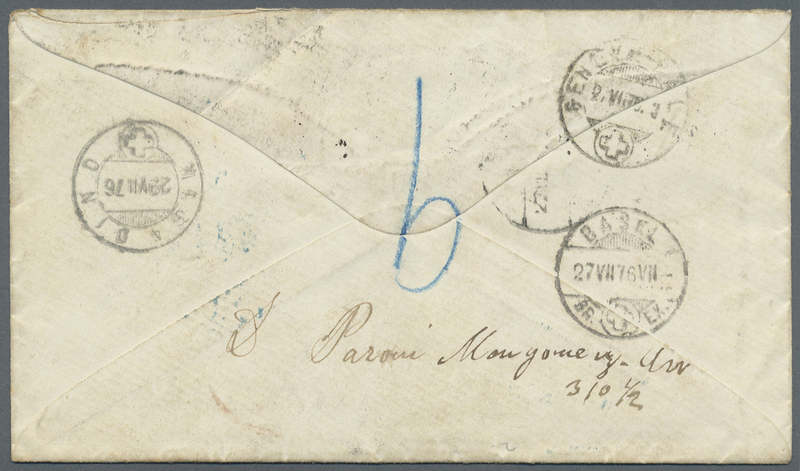 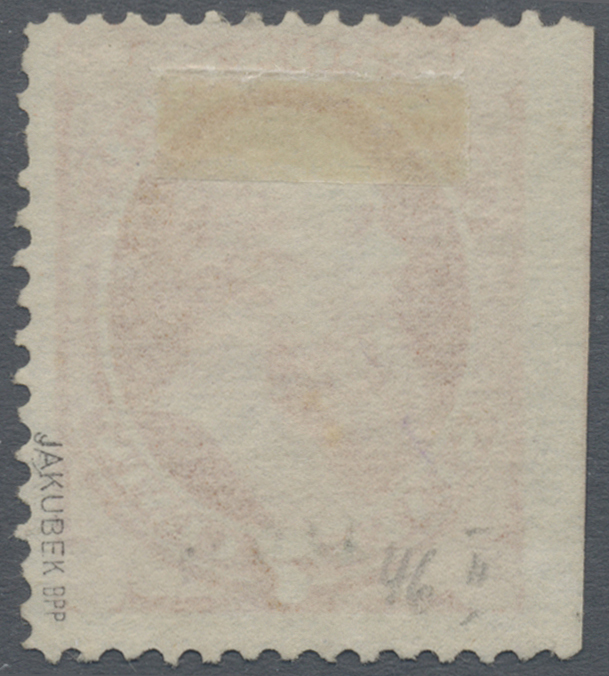 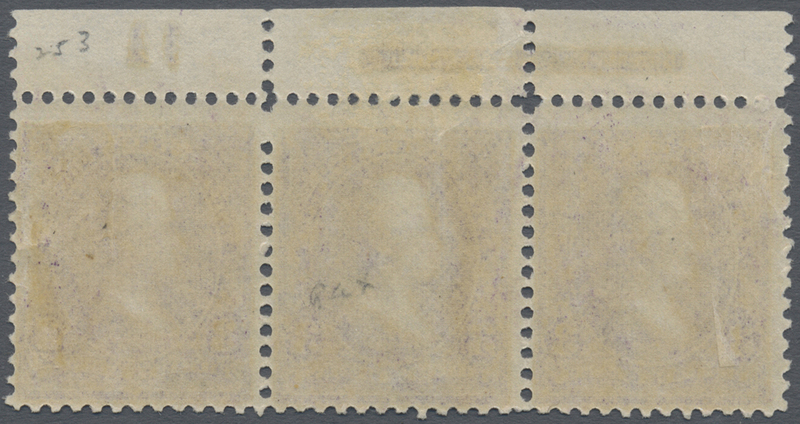 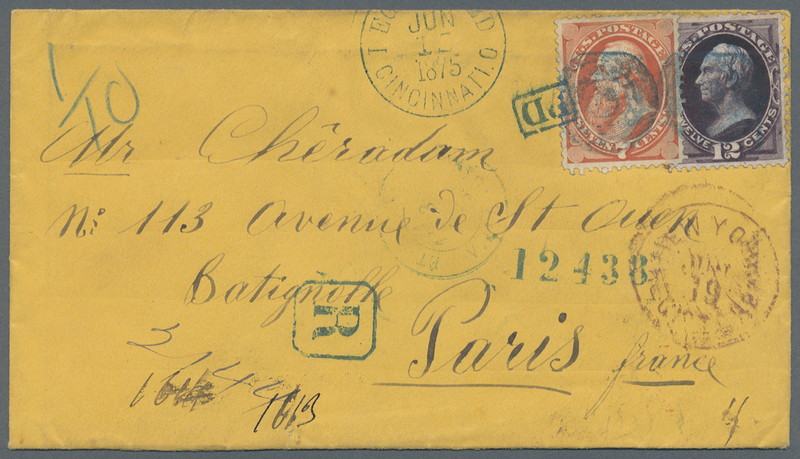 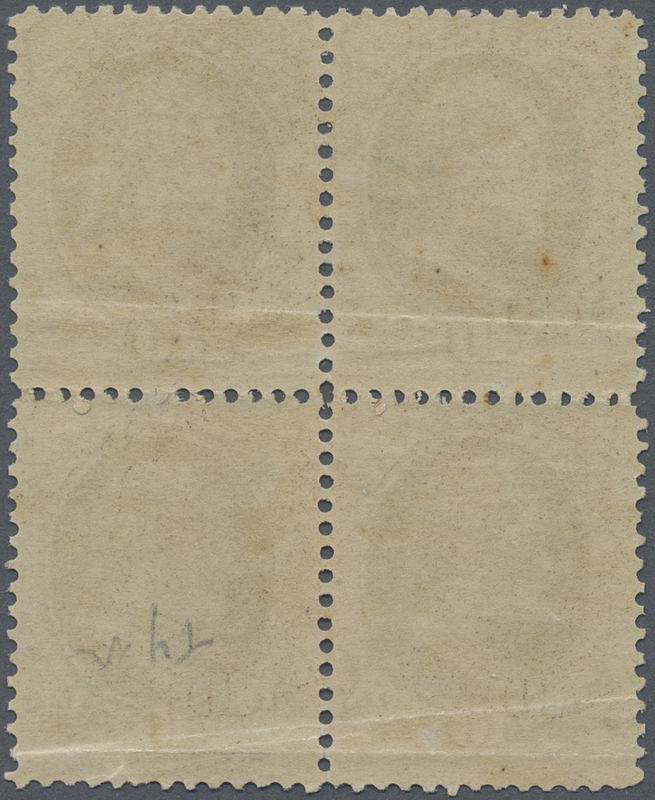 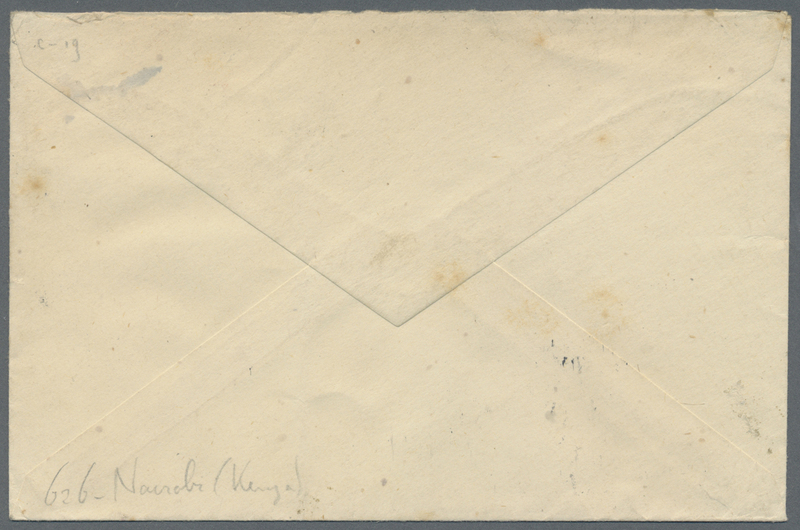 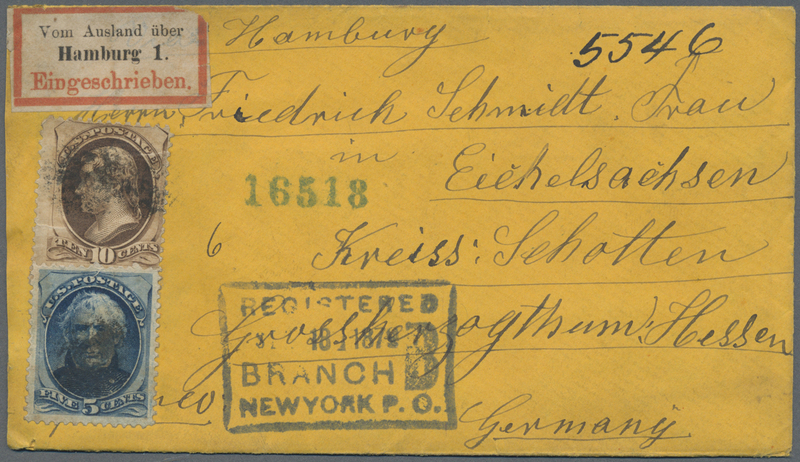 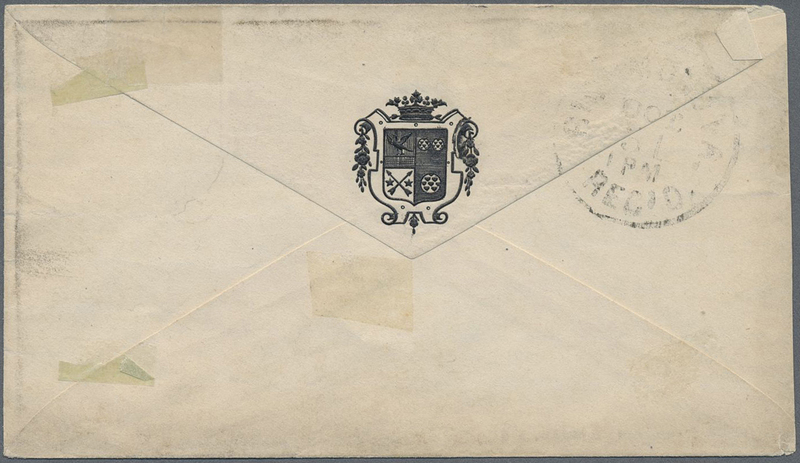 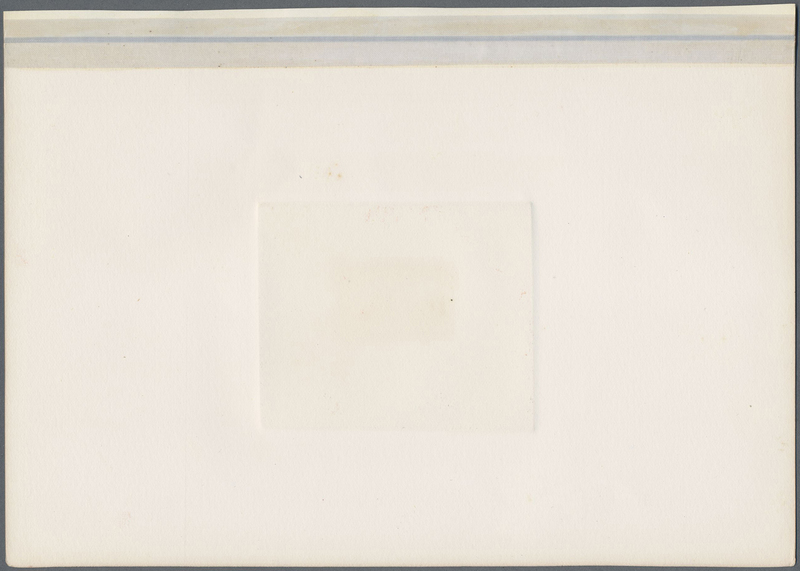 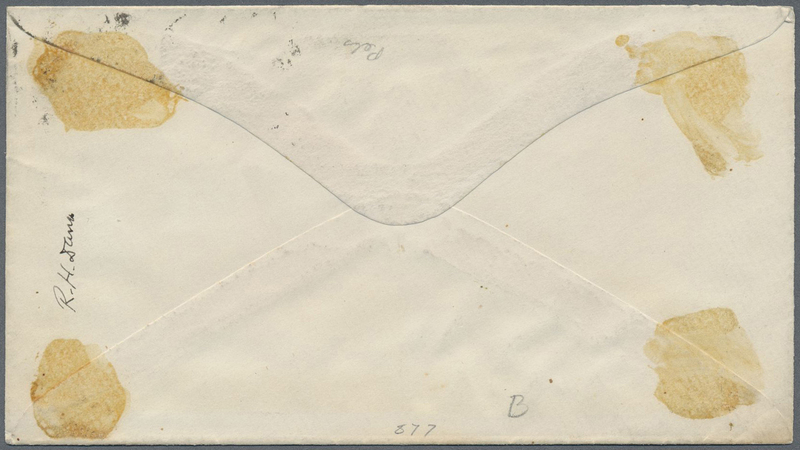 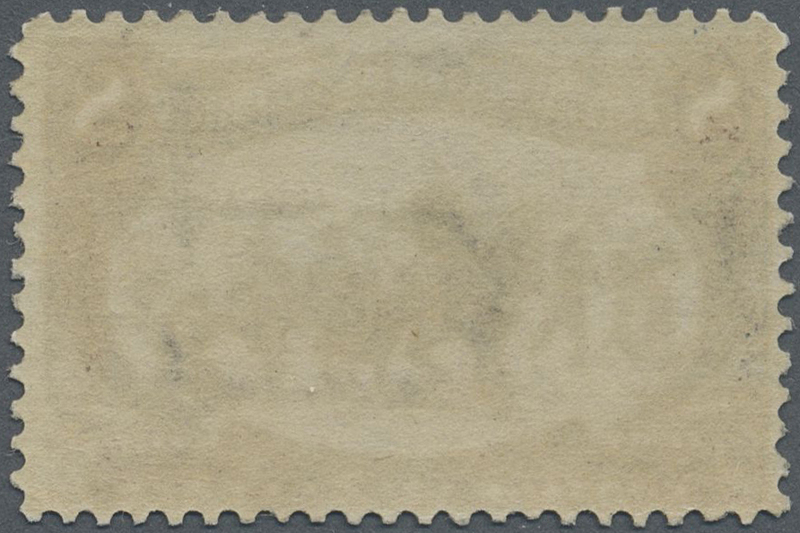 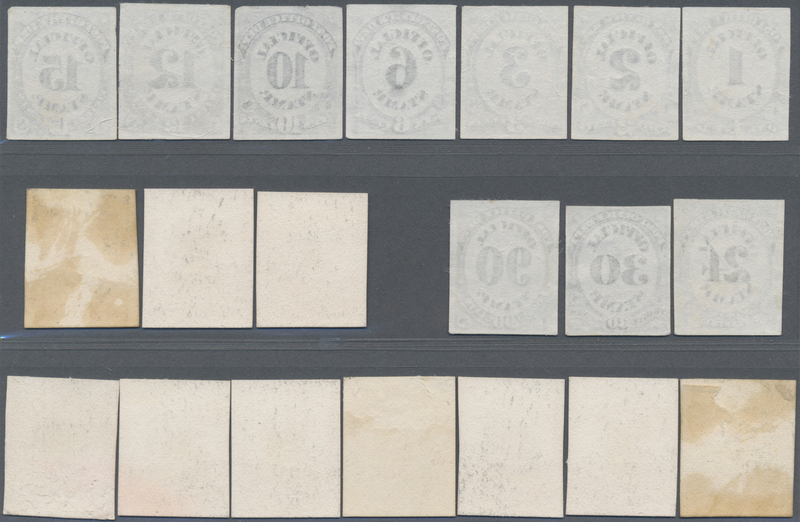 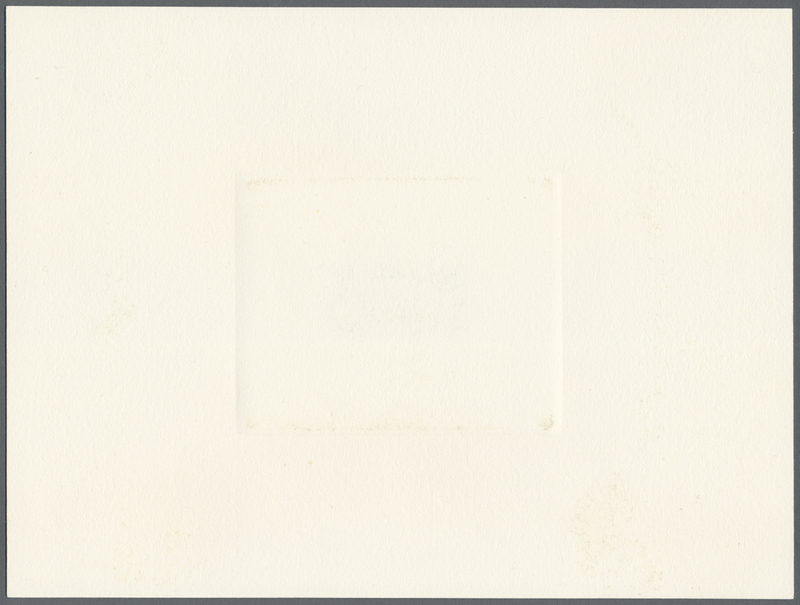 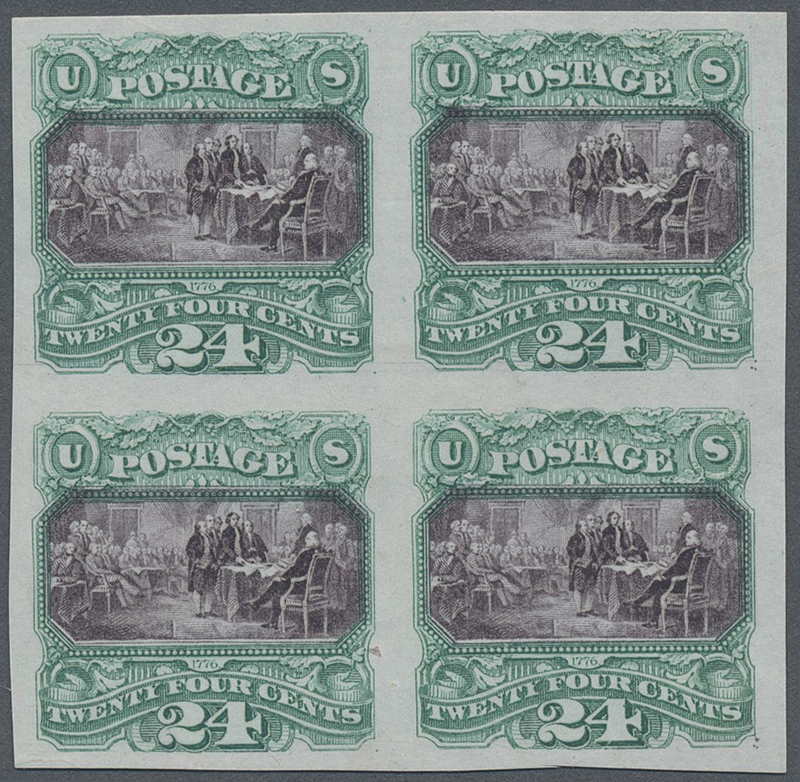 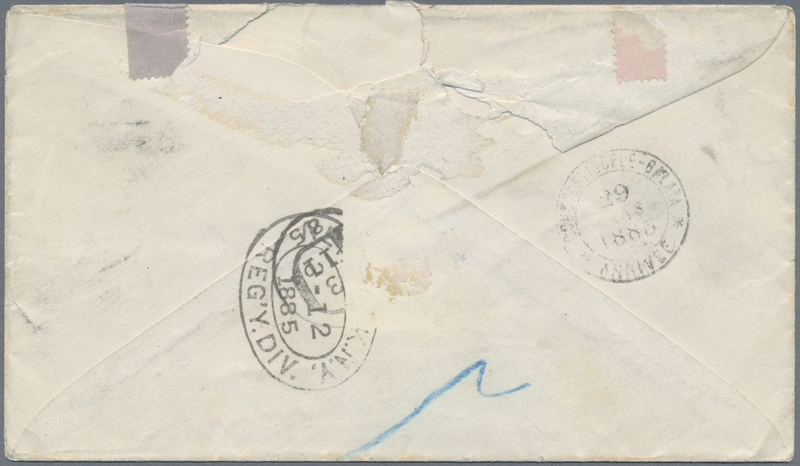 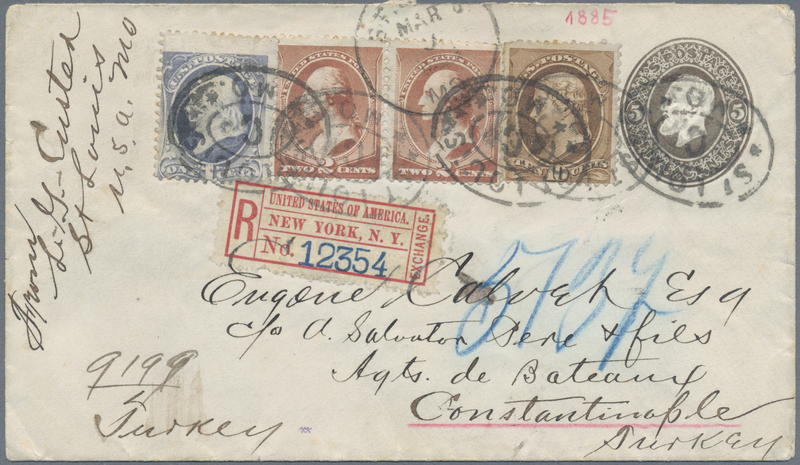 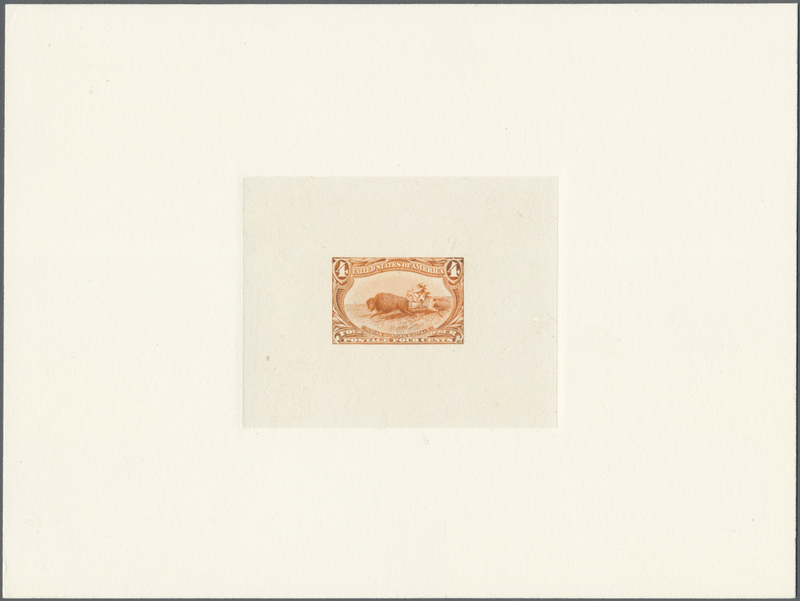 145-147) 1870-71 Definitives 1c., 2c. 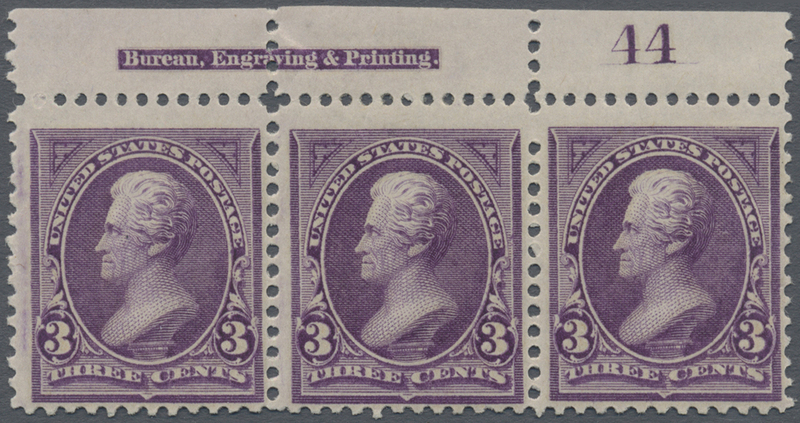 and 3c. 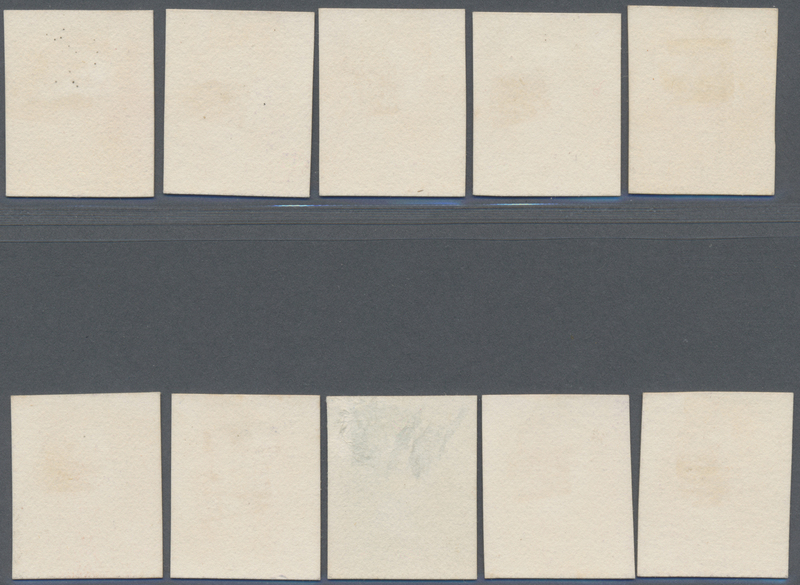 all unused, 1c. 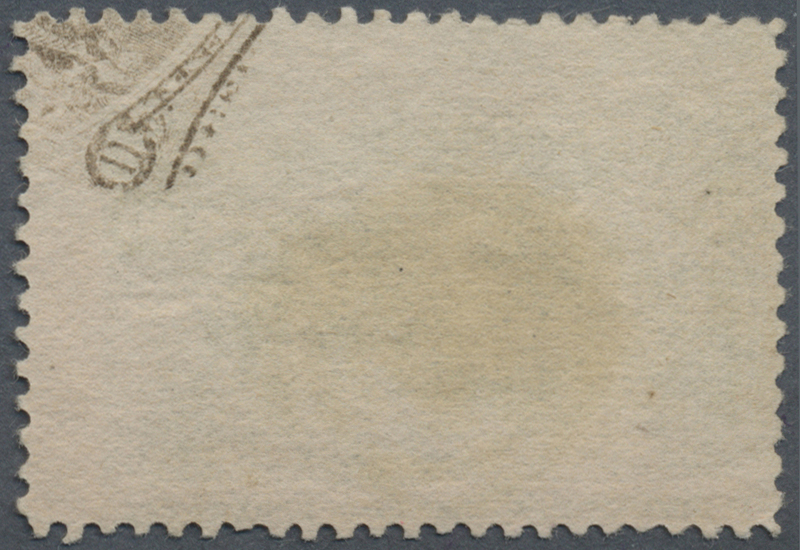 without gum, 2c. 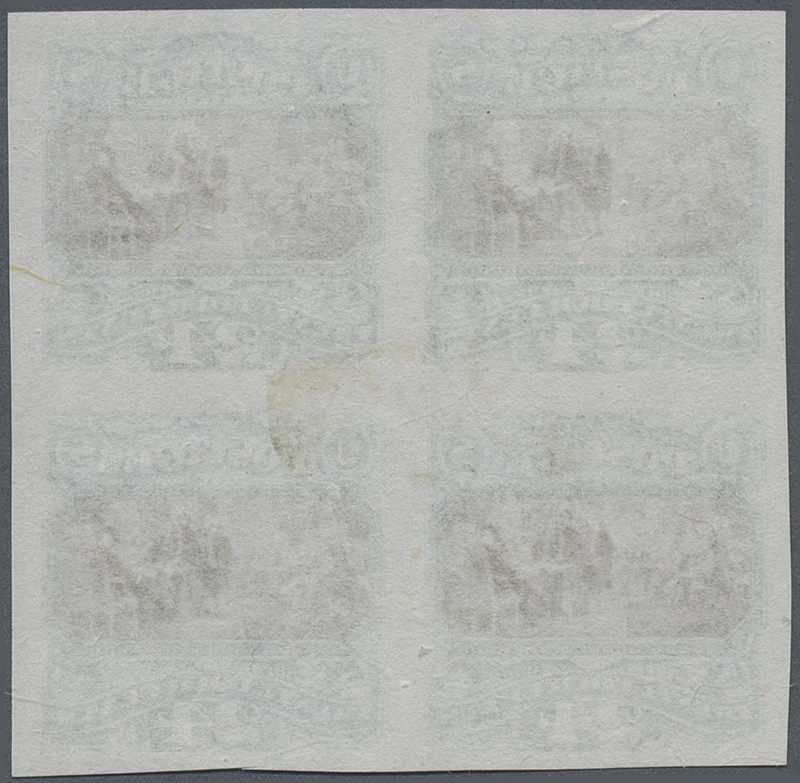 with white gum, and 3c. 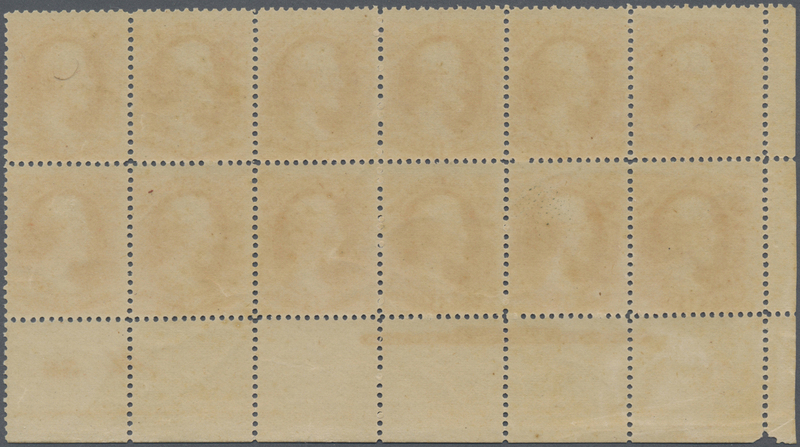 with original gum distributed, fine appearance. 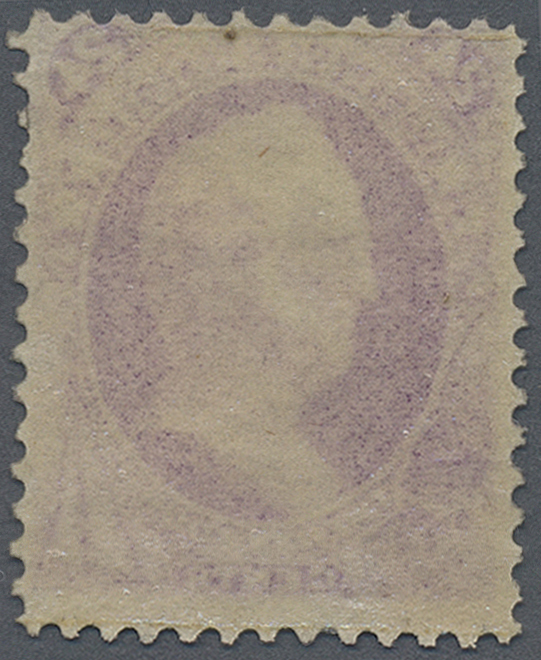 13048 gestempelt (marked) Scott 237 var. 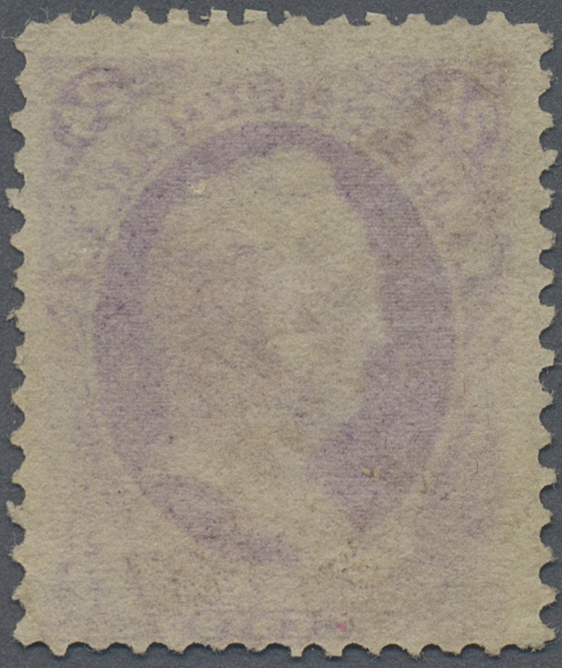 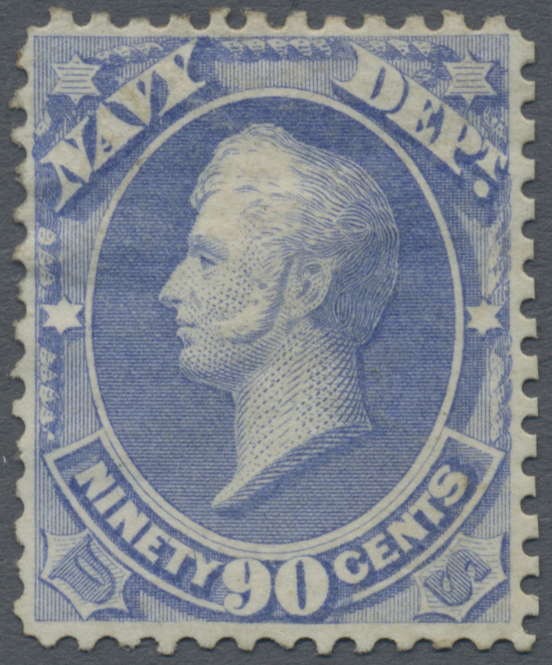 1893, 10c. 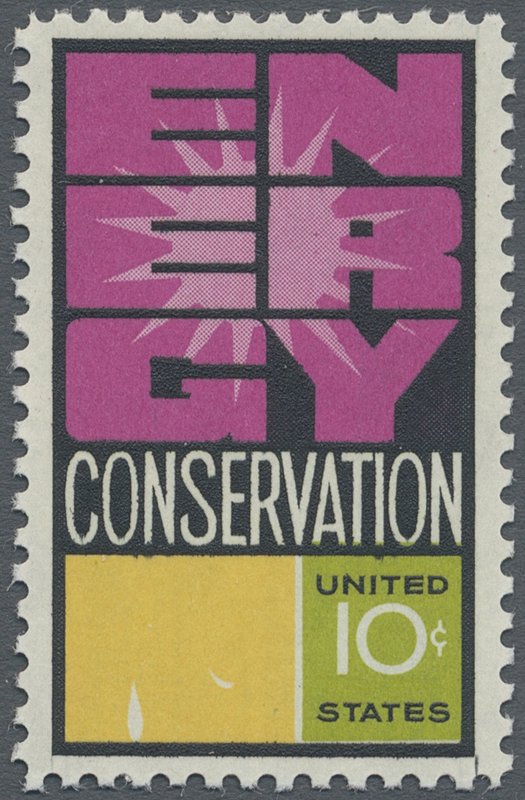 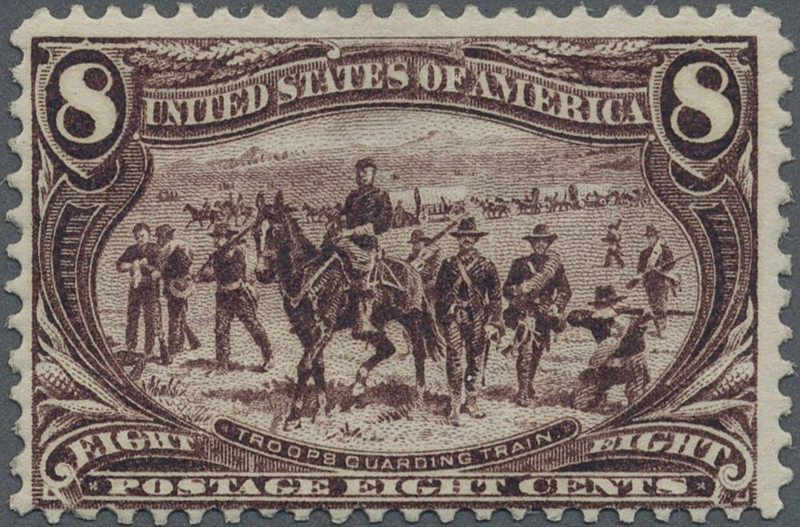 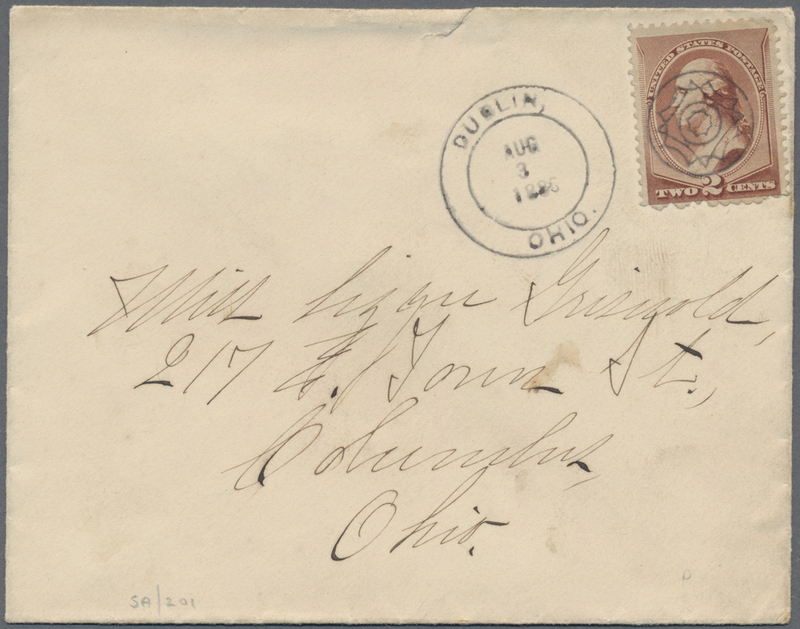 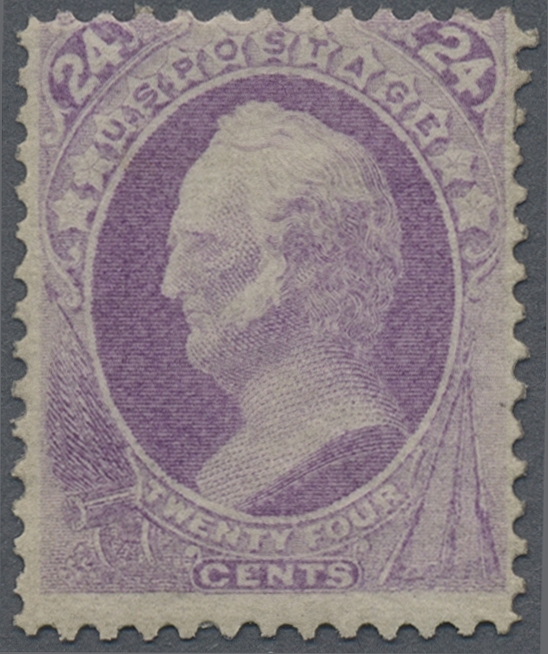 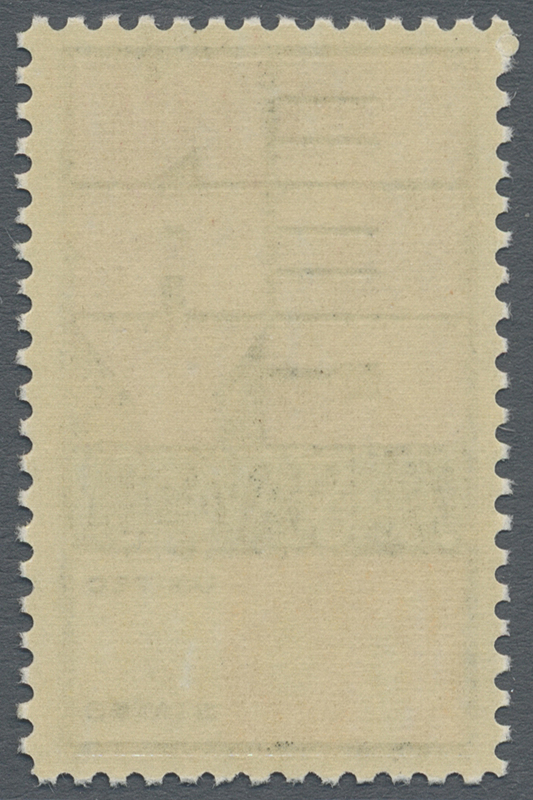 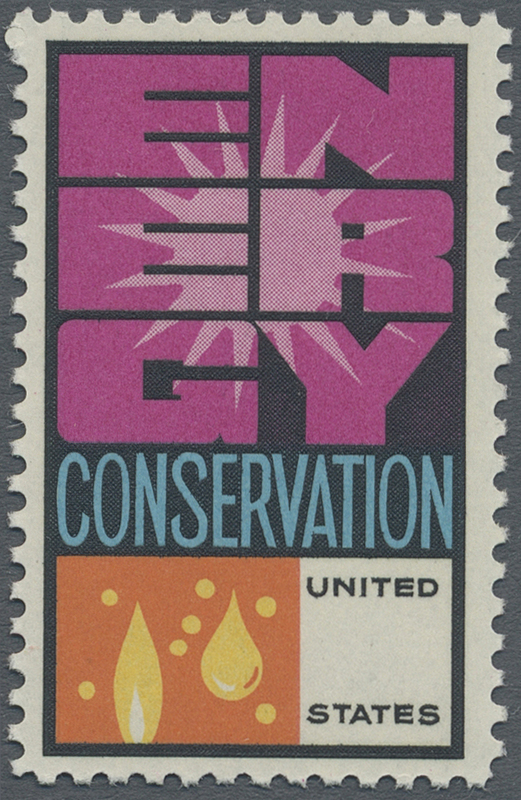 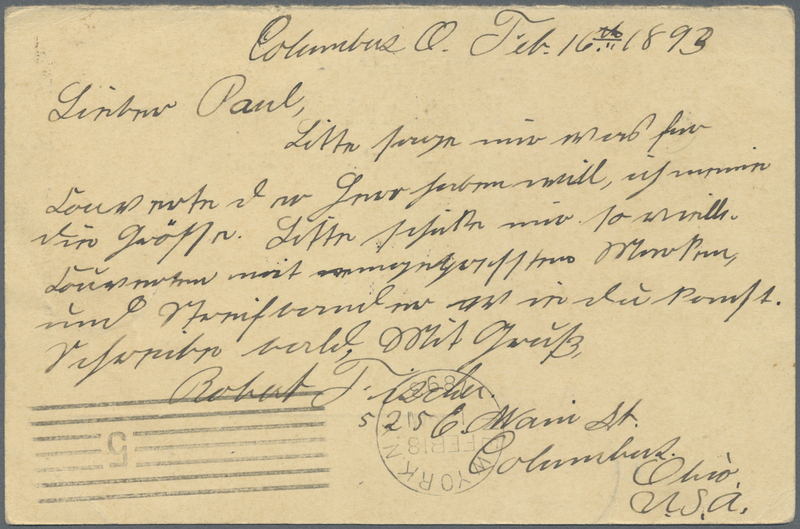 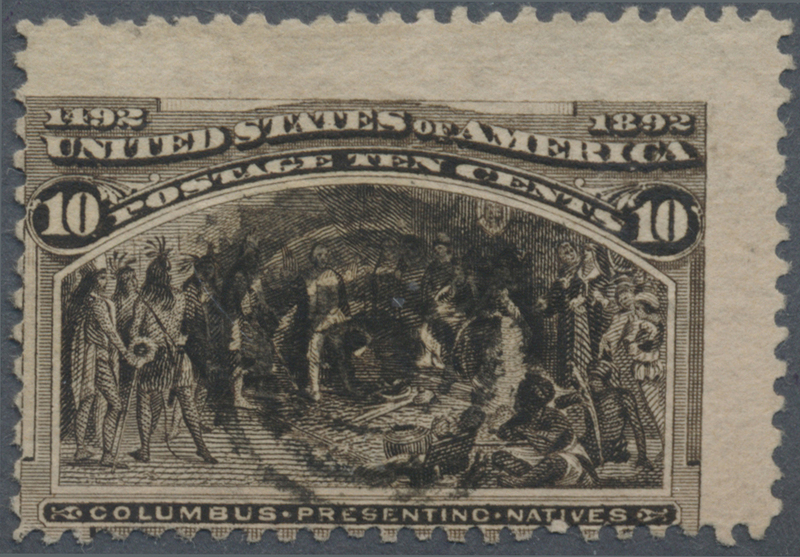 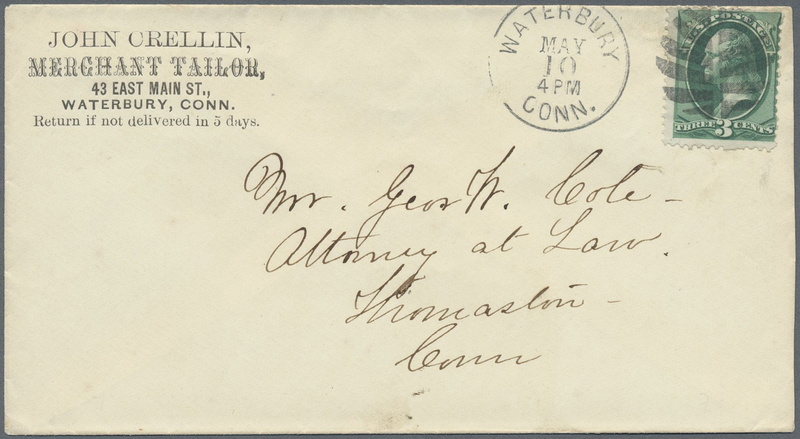 Columbus showing UNIQUE PRINTING ERROR "partial printing of frame design on reverse in upper left corner", used copy (decentered), certificate APS. 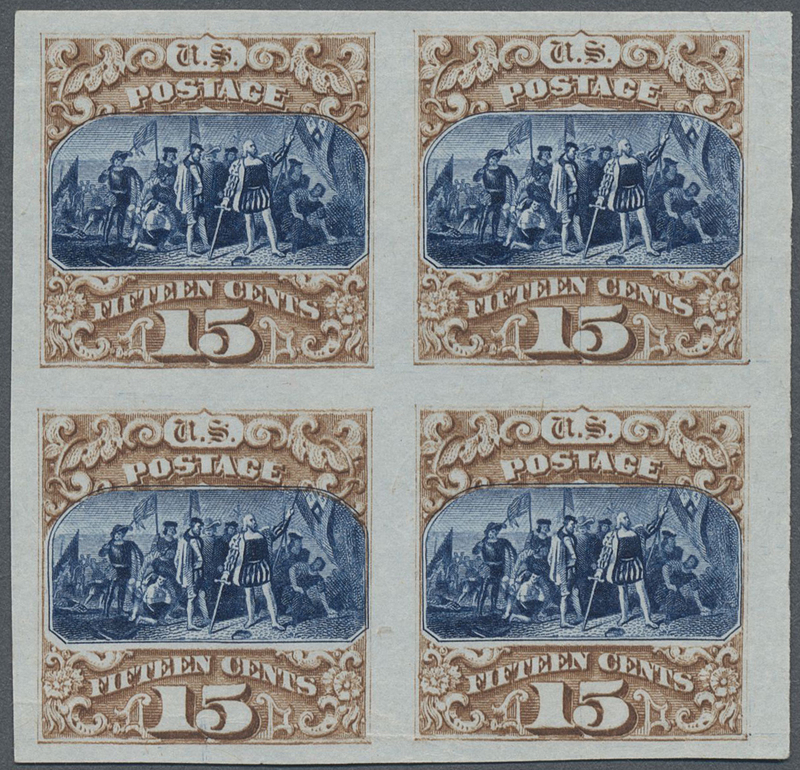 A MARVELLOUS AND MOST APPEALING VARIETY OF THIS POPULAR ISSUE! 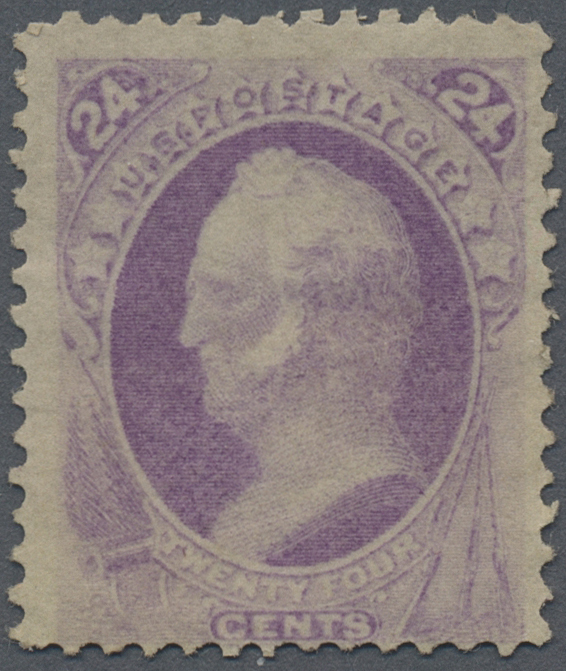 13050 Sc 241 P1 1893. 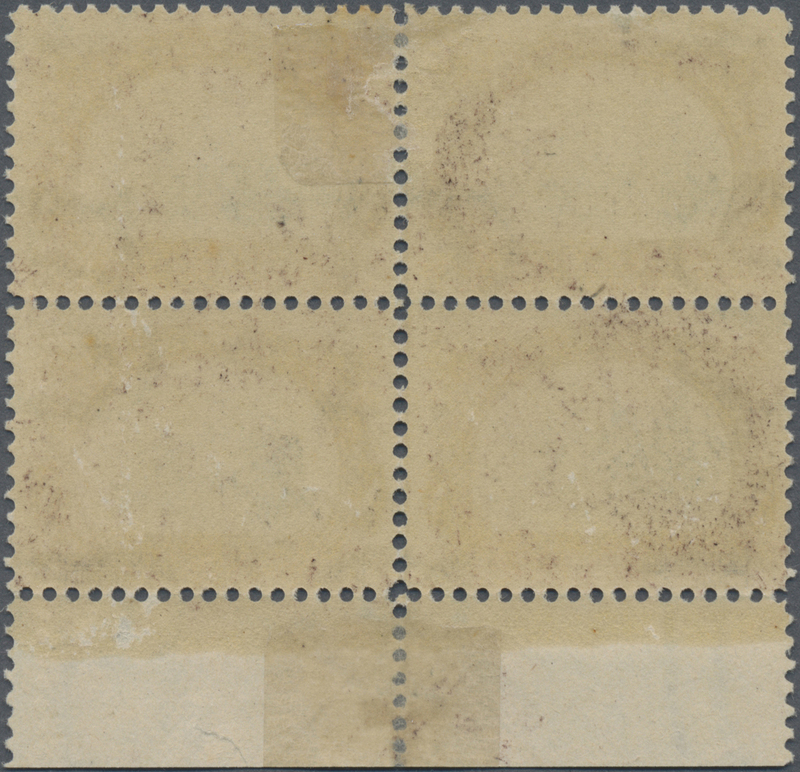 Columbian $1 ABN large die proof. 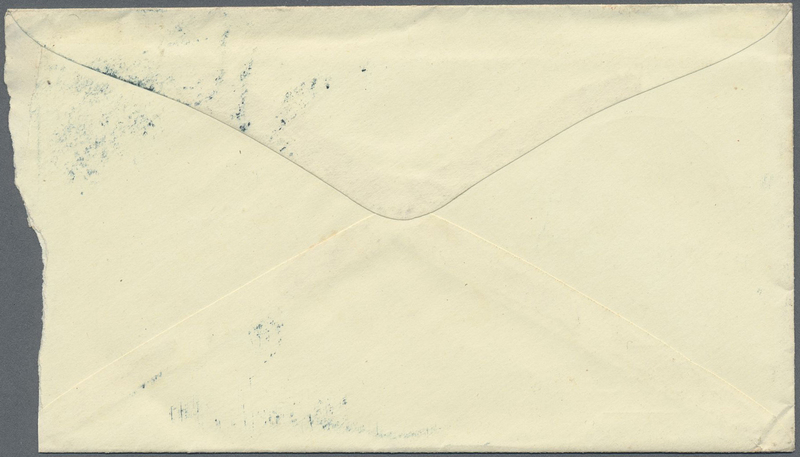 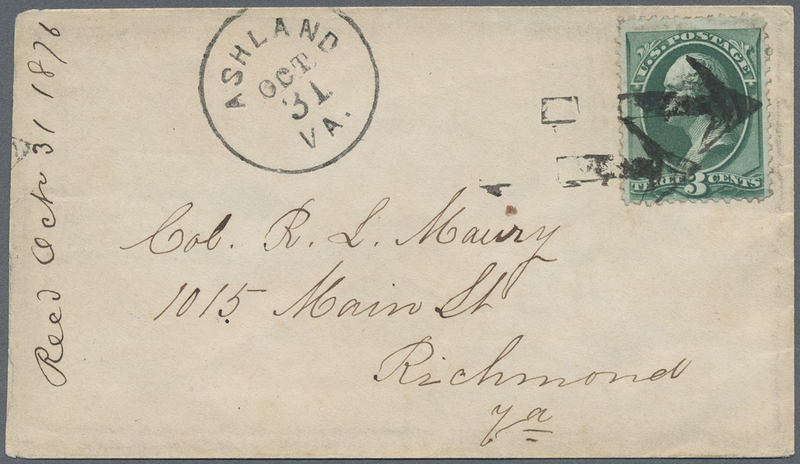 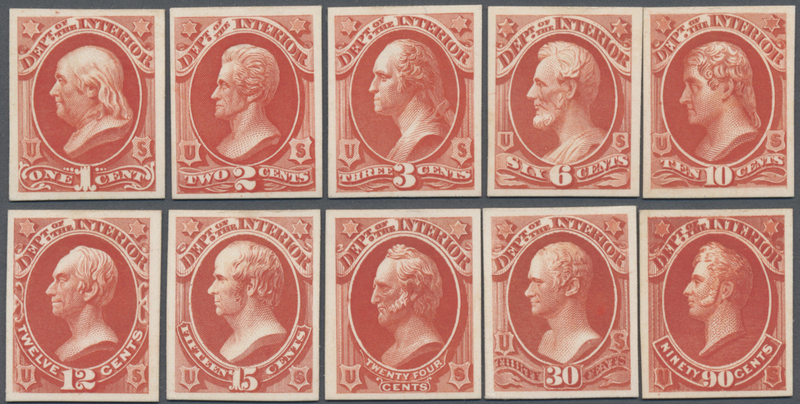 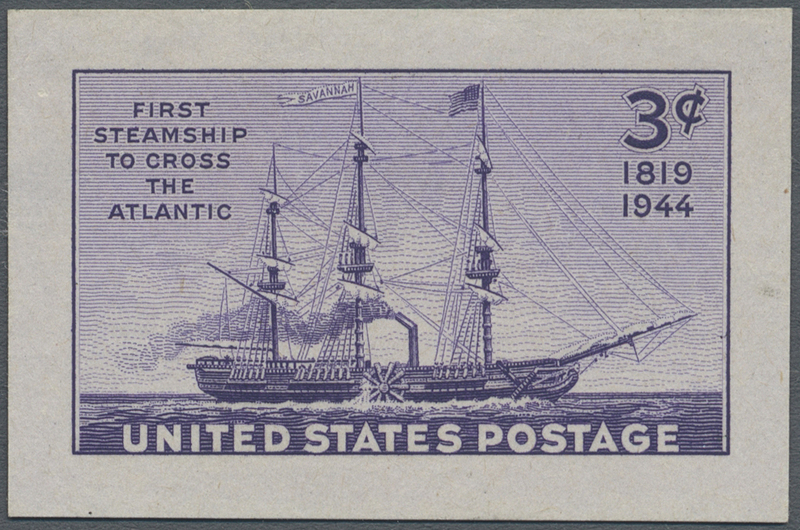 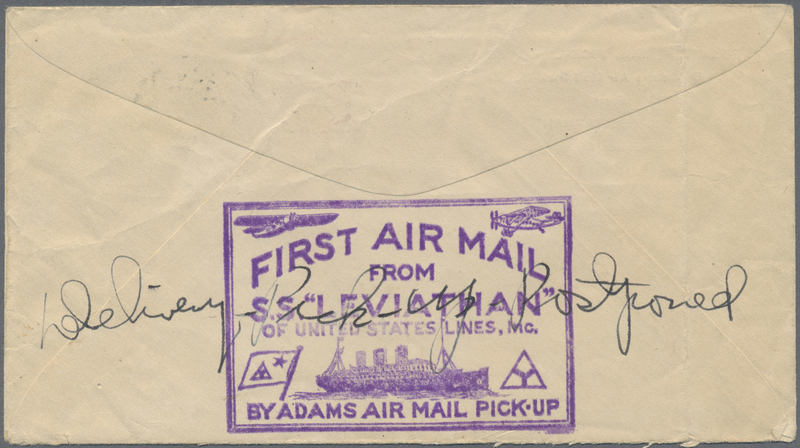 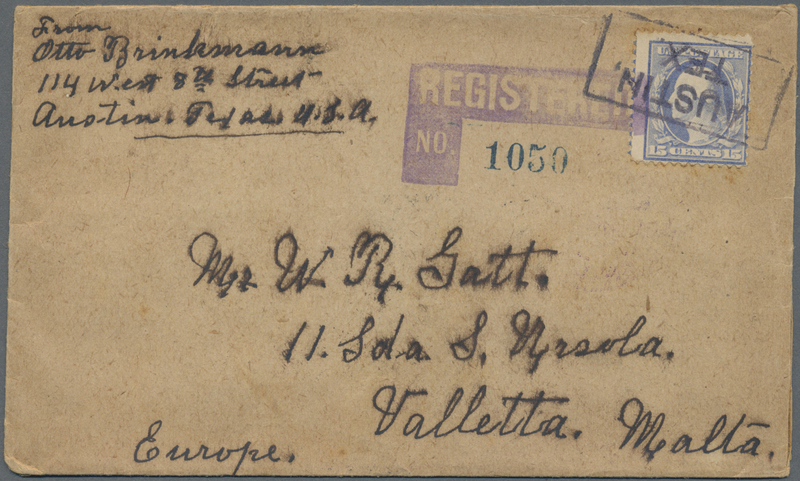 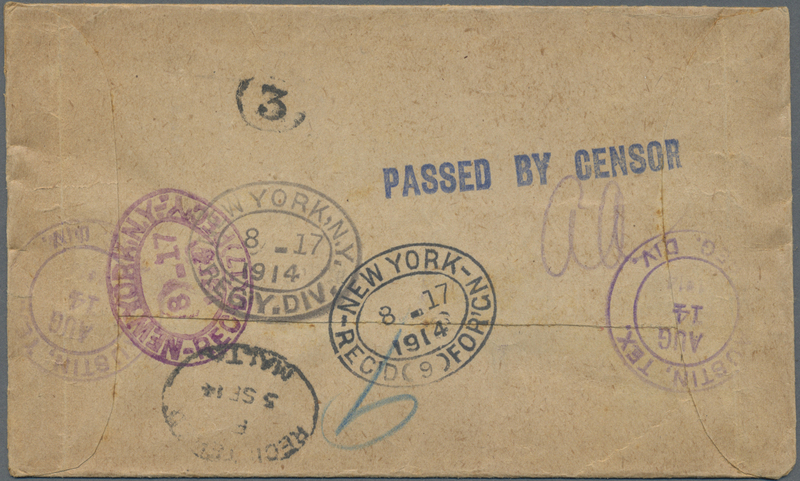 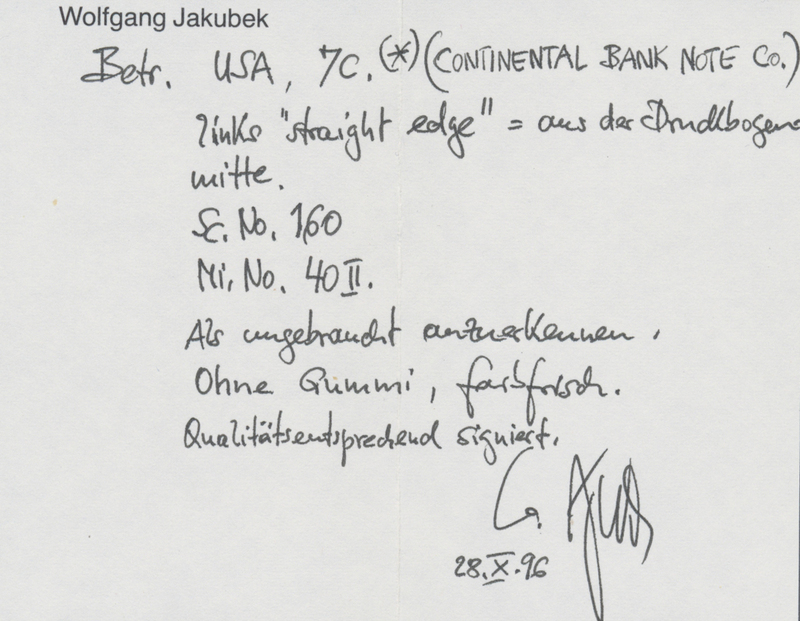 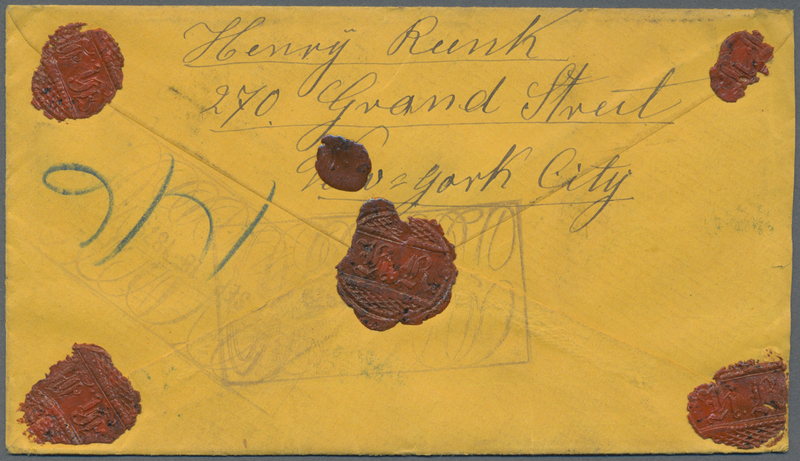 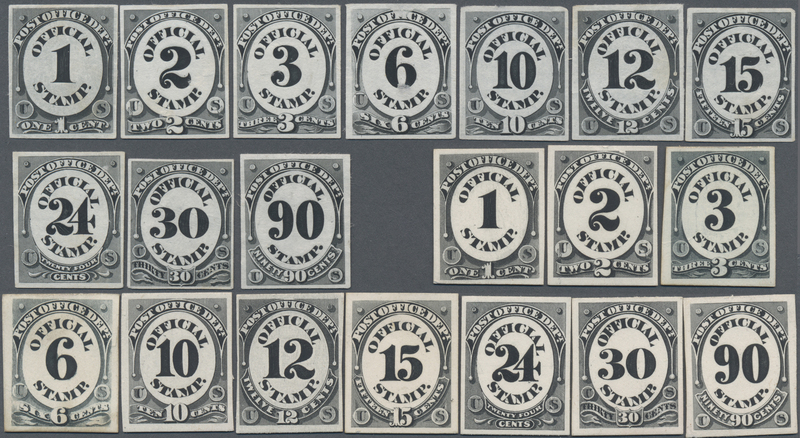 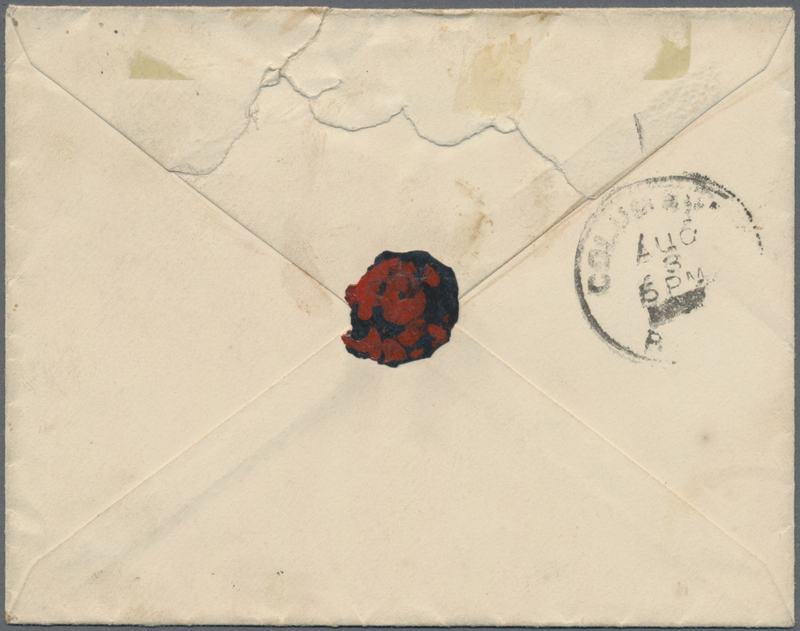 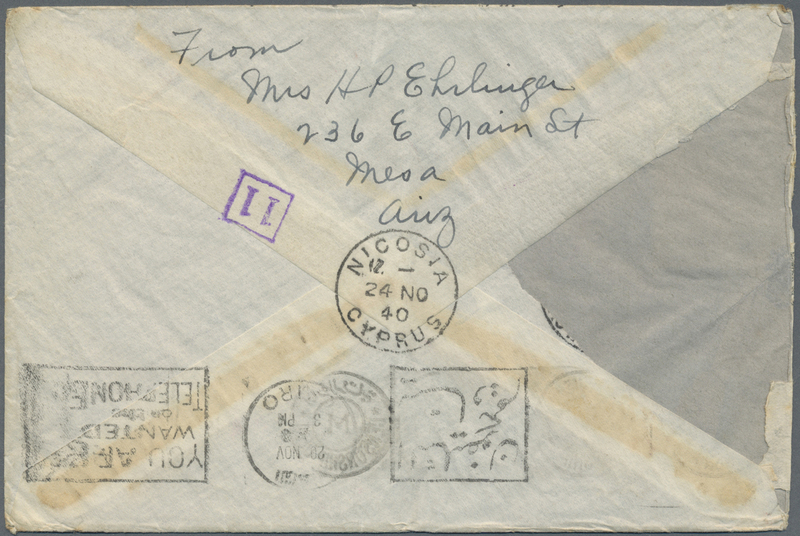 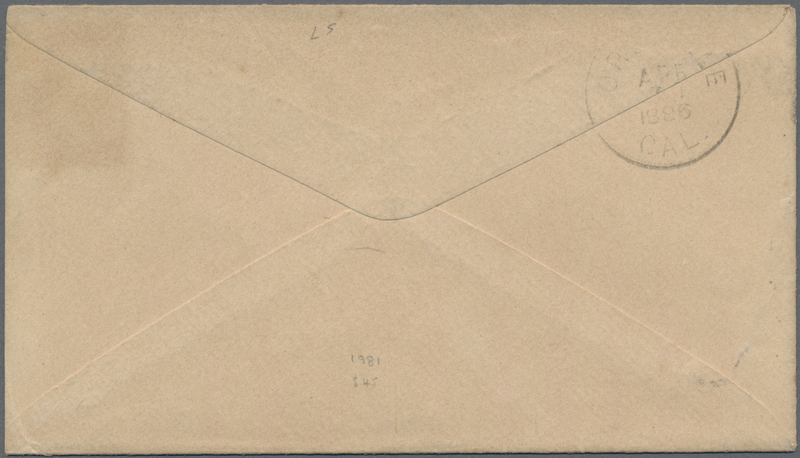 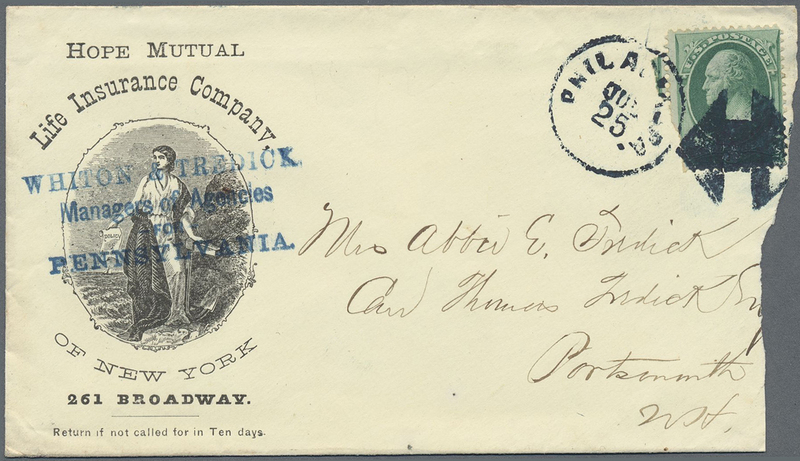 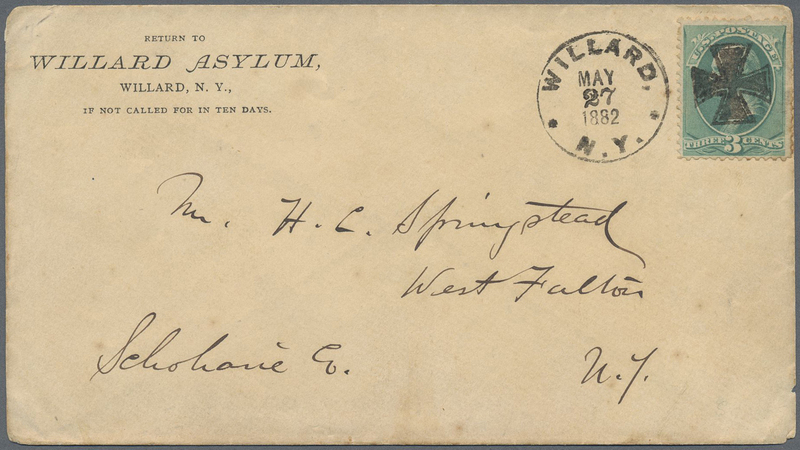 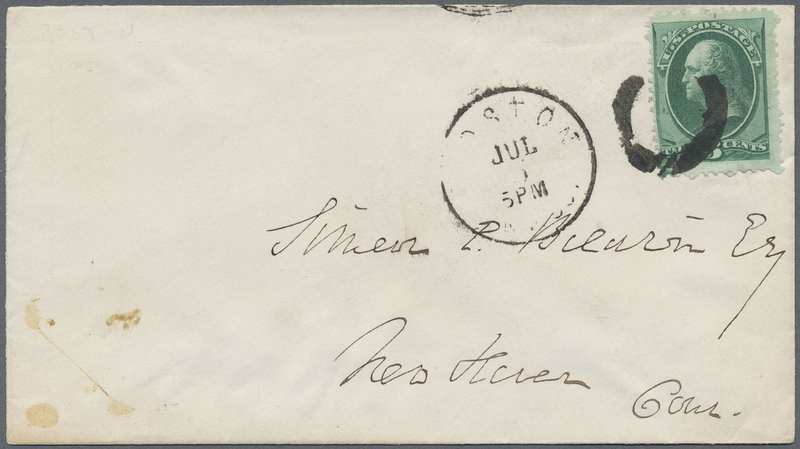 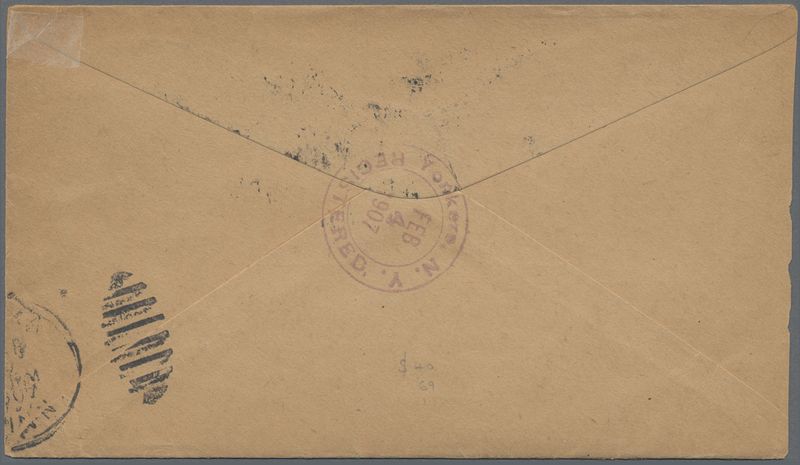 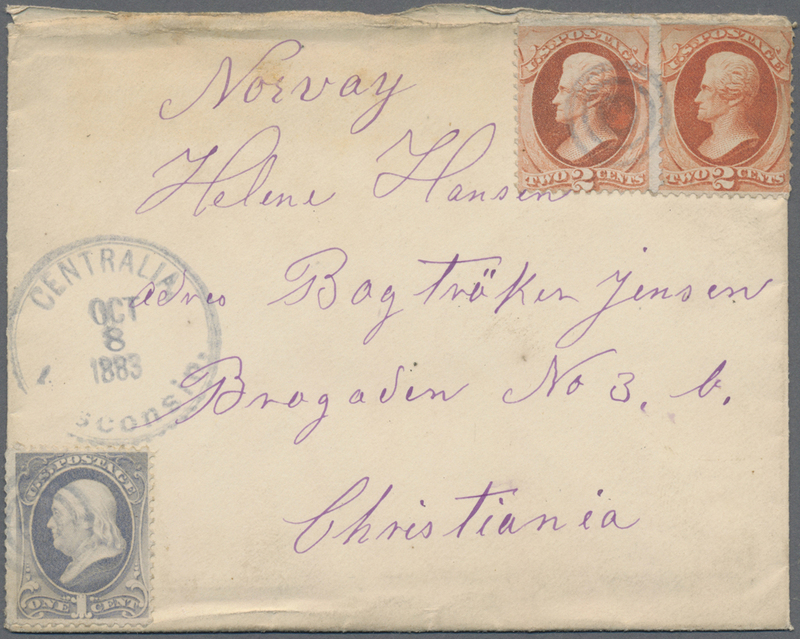 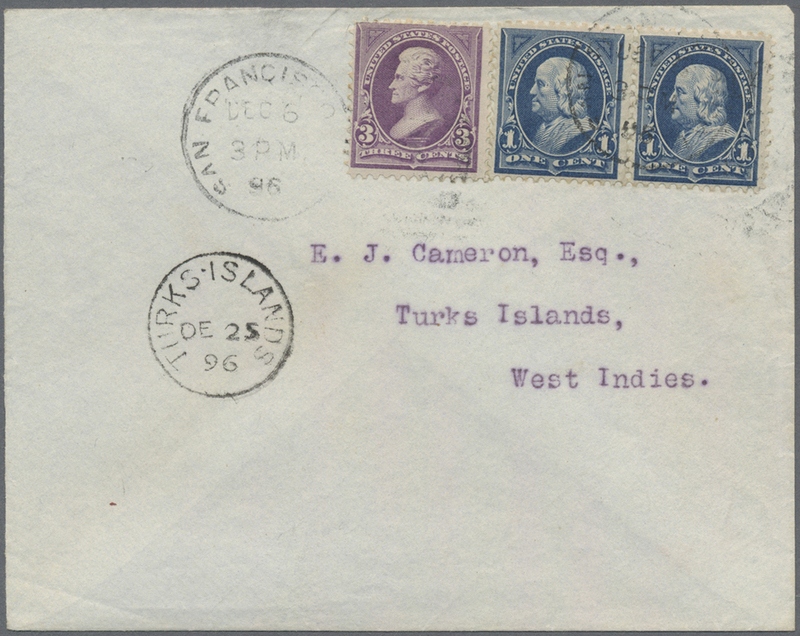 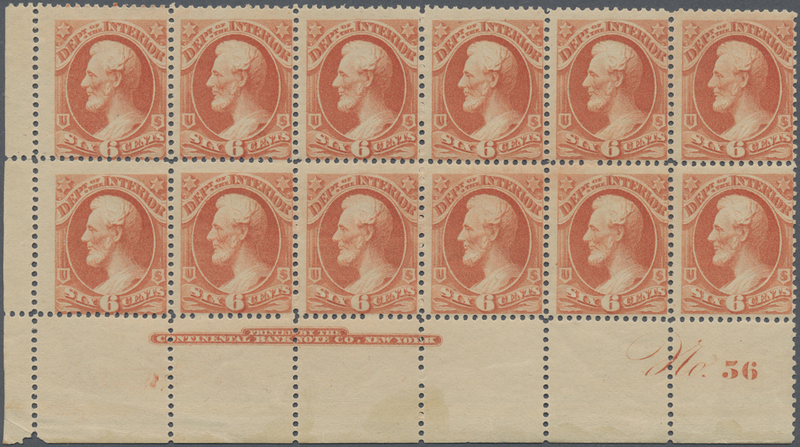 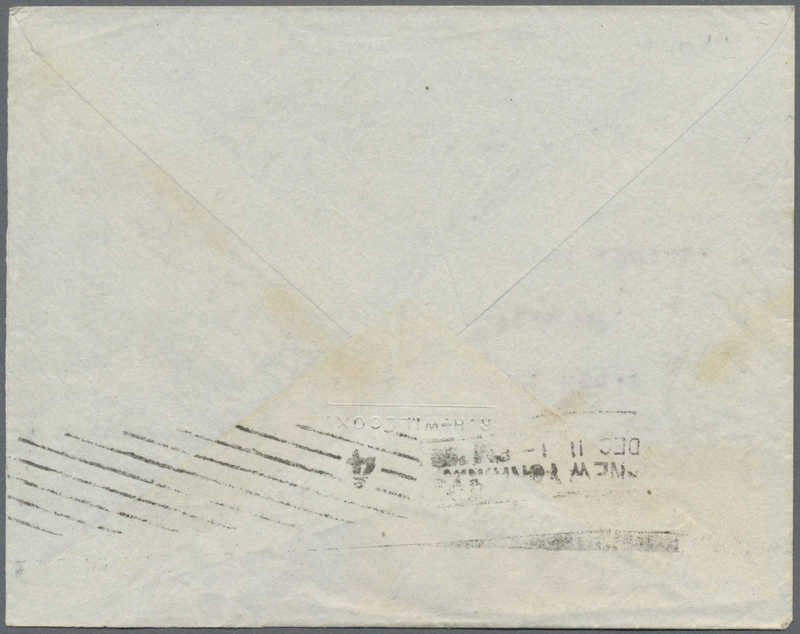 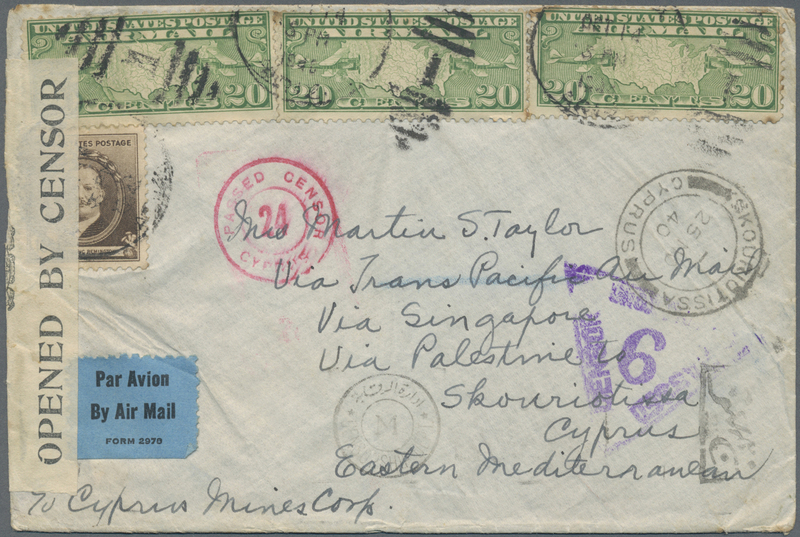 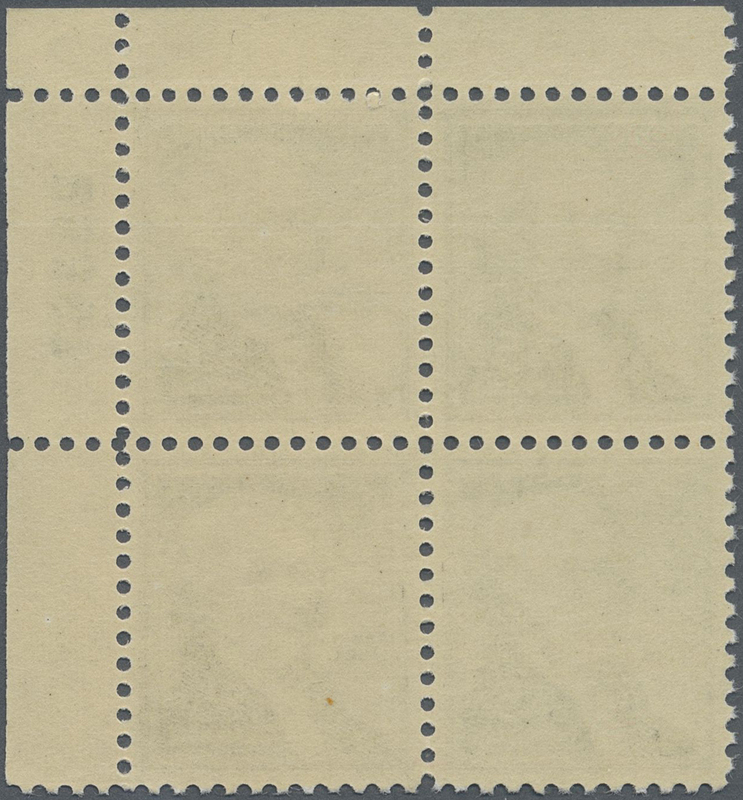 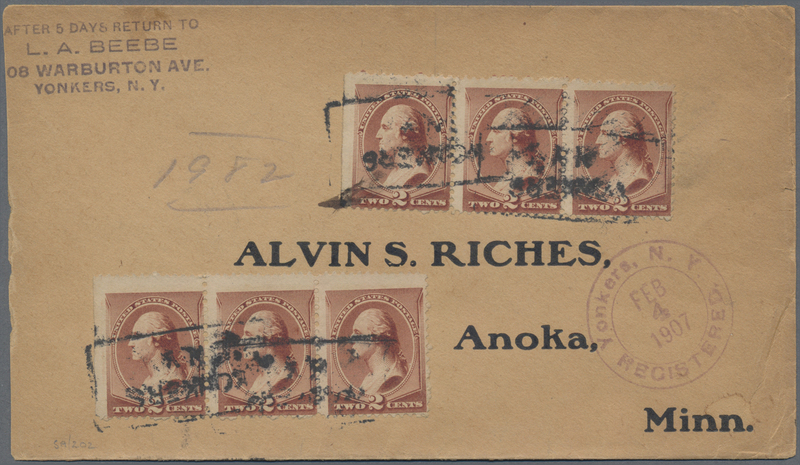 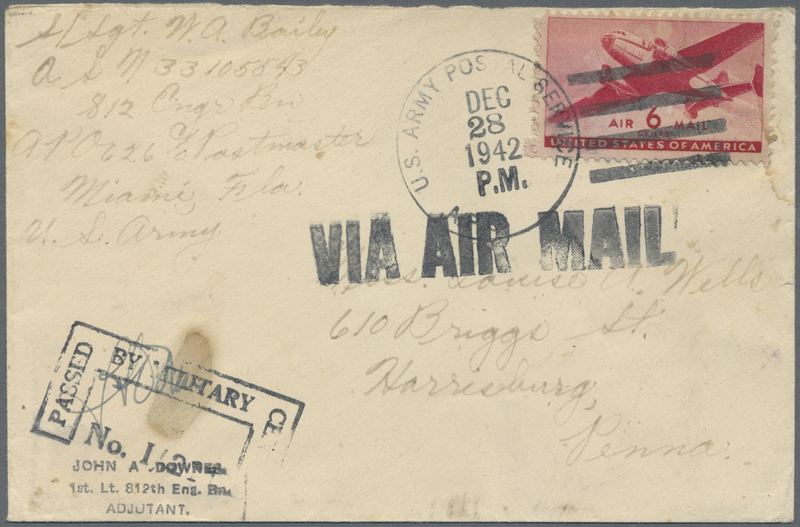 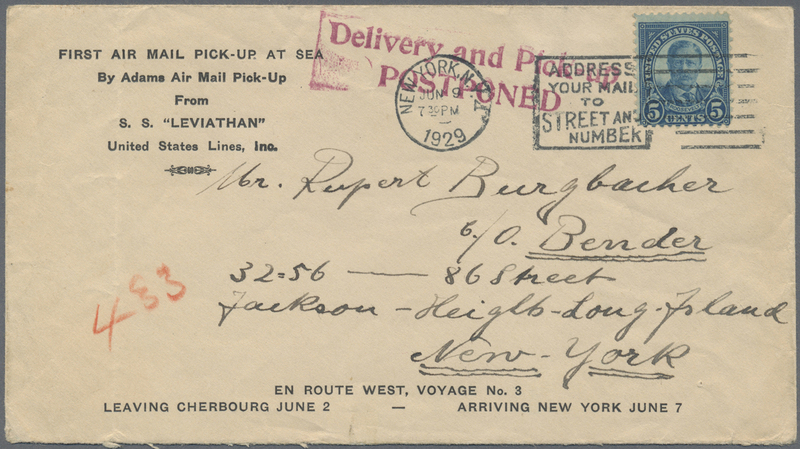 13062 postfrisch (never hinged) ** 650 A (1200) 1954, 1/2 Cent Franklin, twelve mnh sheets, each containig 100 stamps. 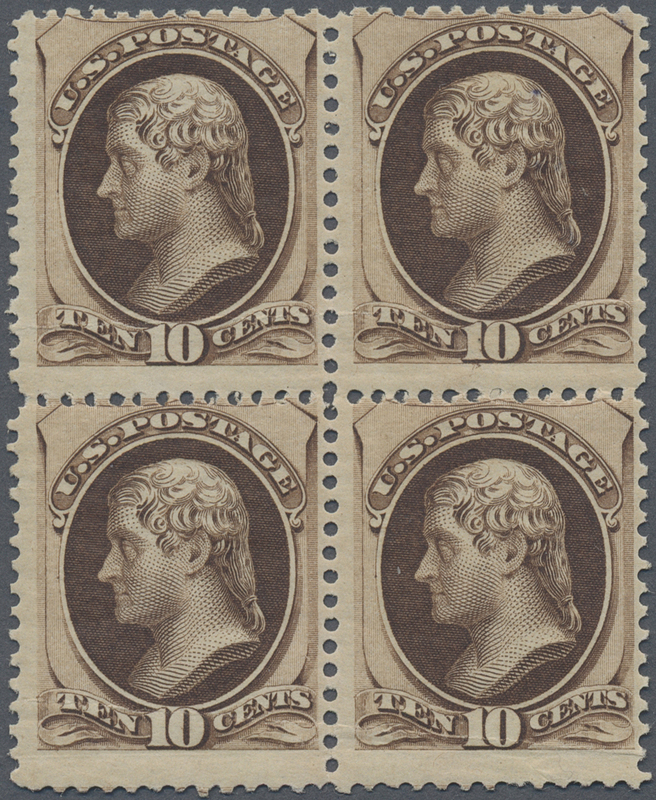 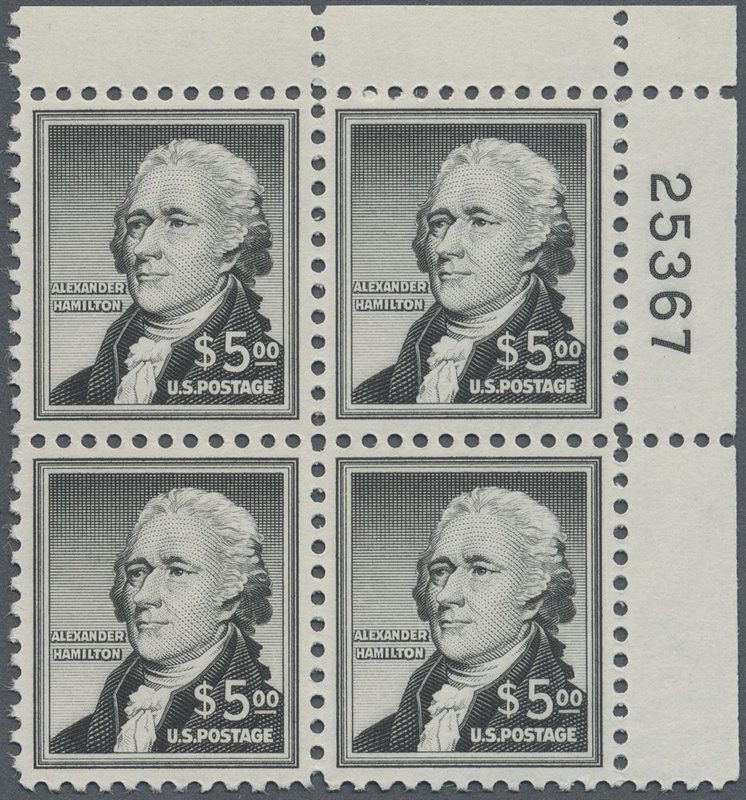 13063 postfrisch (never hinged) ** 675 A (4) 1956, $5 black "Alexander Hamilton", plate block, mint never hinged. 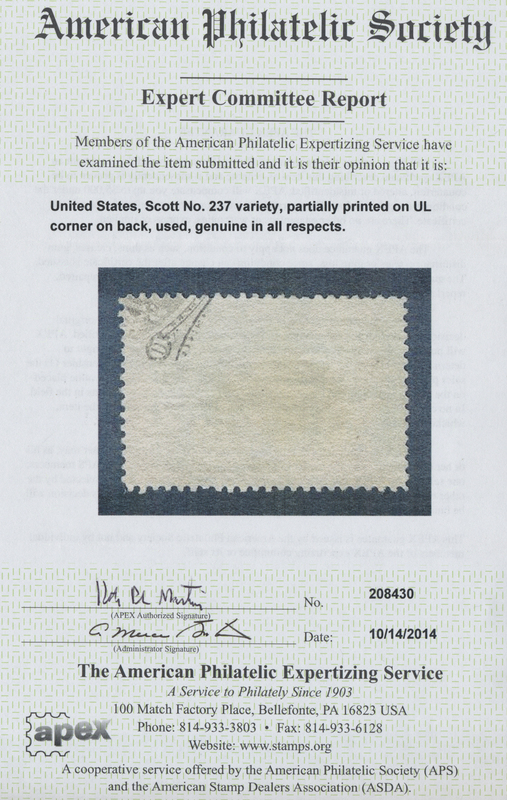 Scott 1053. 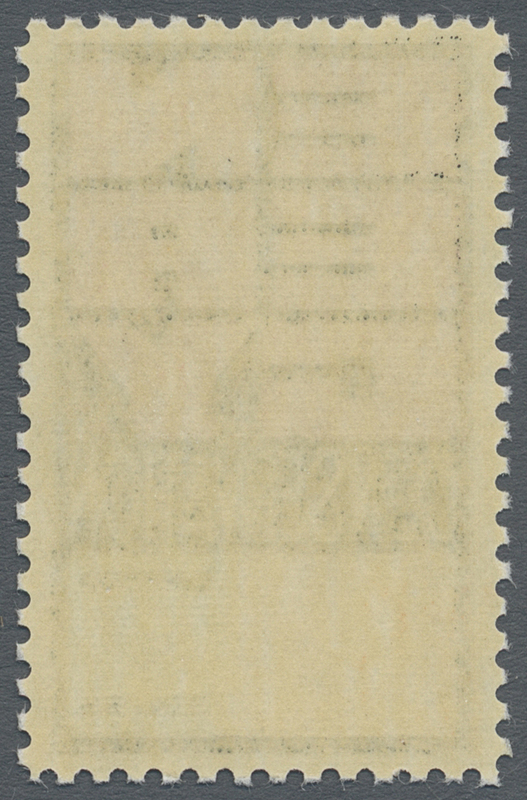 13067 1991. 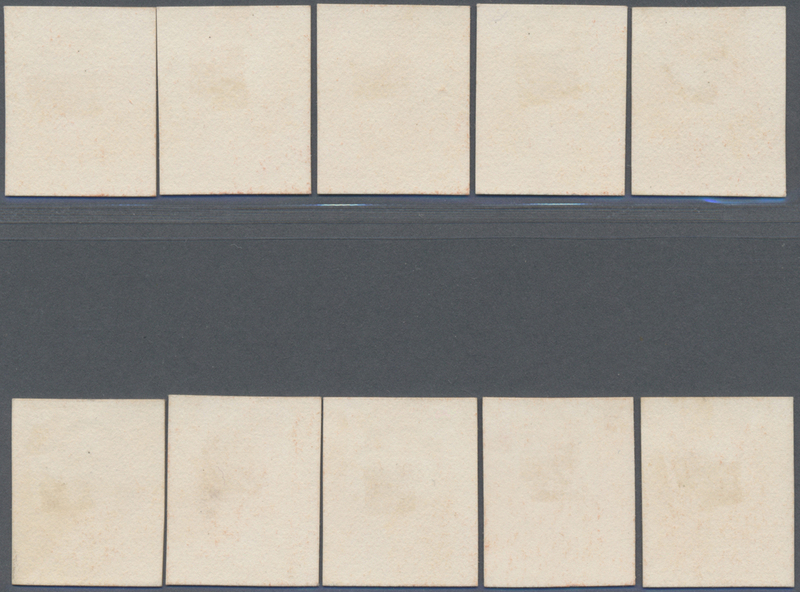 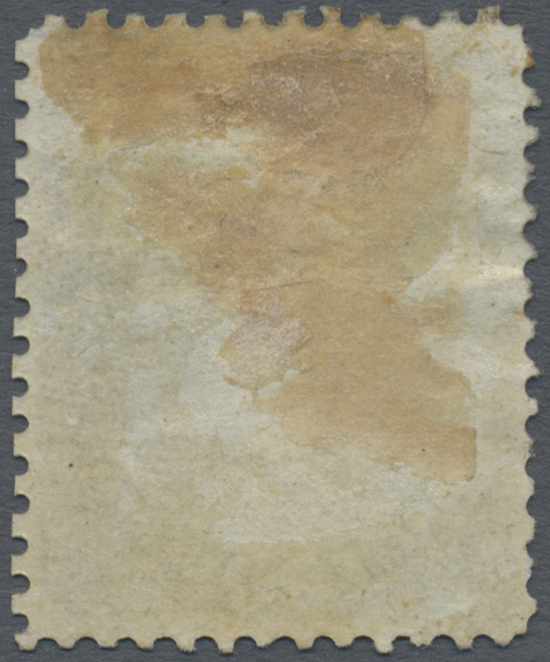 Proof of a 18 self-adhesive stamps (real size of a dollar bill) provided by ATM machines.